Many beautiful flowers liven June and July gardens. Some that do nicely for me are lupine, columbine, bee balm, foxglove and delphinium. Lupines flower nicely through June. Their 3- to 5-foot stalks graced with richly colored blossoms are beautiful. Then, when flowering ceases in July, I cut their stalks down but leave the foliage on the 18-inch tall plants. Lupines do best in full sun. They'll grow in half-day sun but full sun suits them best. Lupines decline after three or four years, but new ones can be started from seed. As they're legumes, dust your seeds with innoculent, so new plants will take nitrogen from the air for their food, conserving nitrogen in the soil. Lupine seed germination isn't outstanding. Perhaps only half the seeds in a packet will germinate. One way to enhance lupine germination is to place seeds in the freezer for two days. Then soak them in warm water for 24 hours before planting. Lupines can be found in white, red, yellow, orange and, most popular, blue. Columbine is another June-July beauty. Its blossoms, with long, unique spurs, come in many colors. Some blossom in two colors. Also, columbine foliage is appealing. Columbine grows 3 to 4 feet tall and hummingbirds enjoy them. Also, there are dwarf varieties. Columbines bloom for about three years before declining. But they frequently self sow. Mine do. As columbine seeds require light to germinate, don't cover them. Bee balm is an easily grown beauty, attracting both bees and hummingbirds. It begins to bloom in June and flowers until August. Then if we cut plants back after August bloom, they blossom again in autumn. Provide either full- or half-day sun and plenty of air movement. Air flow decreases the chance of mildew. Blossoms come in red, white and purple. Plants grow 3 to 5 feet tall, so provide adequate room. Pinch their tips when plants are 4 inches tall to stimulate branching. We can grow bee balm from seed. Also, new plants can be produced through divisions made in spring, or by propagating stem cuttings in midsummer. Foxglove is a longtime favorite. Plants climb 4 to 5 feet and get 12 to 18 inches across. They do best in full sun, but can get by with half-day sun. The flower blossoms in white, yellow, pink and purple. Read more. For a group of folks with dirt under their fingernails, gardeners have become a bunch of snobs. So says cultural anthropologist Jane Nadel-Klein, a Trinity College professor who is making the modern-day garden and its rubber-clogged inhabitants the subjects of her latest research. A hobby as common and universal as gardening might seem an odd province for a social scientist who, until now, has devoted her life's work to documenting the demise of fishing in Scottish coastal villages. But to Nadel-Klein, an avid gardener, an examination of the garden-club lady can contribute to our understanding of humankind in much the same way that studies of isolated civilizations in New Guinea can. "The more we know about the history of a human practice, the more we know what we share," says Nadel-Klein, speaking in her comfortable office on the Trinity campus. Nadel-Klein's assessment of gardeners as elitists might sound a bit harsh. But her observation comes not from the ivory tower of academia but from visits to garden shows and garden club meetings and from years of reading garden magazines simply to indulge her own passion. At the flower and garden show in Hartford, Conn., last winter, Nadel-Klein noticed a T-shirt for sale emblazoned with the message: "Friends don't let friends buy annuals." She laughed at first. But then she wondered why people who plant pansies and petunias are not considered real gardeners. "It has a definite class bias," she says. "Annuals are not associated with serious gardeners." Then she thought about her hometown of Bloomfield, Conn., where every summer day, she admires front-yard landscapes and flower beds that no garden club would ever include on its annual garden tour. She remembered her neighbor across the street, a man from the Caribbean who filled his front yard with a tangle of mismatched flowers and vegetable plants from castor beans to petunias. It was beautiful, Nadel-Klein recalls. "It was a riot of color; everything clashed," Nadel-Klein says. "But the garden club would drive right by his house." With a grant from Trinity, Nadel-Klein plans to spend the next several months visiting garden shows, studying horticulture magazine content and interviewing gardeners to formalize her observations. She will travel to England, long a mecca for the serious gardener, to compare British gardening traditions with those in the U.S. She wants to know where our idea of a good garden originated. Reference. Asters and mums are among the Ornamental Plant Germplasm Center's (OPGC) top-30 priority genera to collect, as are the poinsettias so popular in December. New varieties of these and other flowers could result from plant breeders' use of previously unavailable genes from the center's growing collection. The center recently marked its third anniversary on the university's campus. It boasts a modern, 6,000-square-foot office/laboratory complex and an 11,500-square-foot greenhouse. Center scientists search the world for valuable plant materials, including the collections of serious plant hobbyists. As director of OPGC, David Tay is building a genebank to safeguard the gene pool of flowering plants worldwide. It is one of the few specialized genebanks for flowcrs in the world. The center collects seed, bulbs, cuttings, and tissue, mainly from wild relatives of commercial species and heirloom varieties that are no longer available. Otherwise, seeds and other materials from varieties no longer on the market would be thrown away--and with them, a portion of the flower gene pool. Preservation of flower germplasm has become even more important today, as concentrated breeding narrows the genetic diversity of many popular flowers by focusing on aesthetics. OPGC is a joint effort involving the Agricultural Research Service, OSU (through the Ohio Agricultural Research and Development Center), and the American floriculture industry. It was established because of increasing awareness over the past decade of both the threat of a dwindling gene pool and the importance of the floriculture industry as a growing sector of agriculture vital to the economies of many states, like Ohio. Nationally, floriculture is a $13-billion-a-year industry. Globally, it's about a $50-billion-a-year business. Yet relatively few resources have been devoted to protecting the gene pools of flowering plants. The germplasm center helps fill this void. OPGC is the newest addition to the U.S. National Plant Germplasm System, which began in 1946, is managed by ARS, and maintains 25 genebanks across the country. Its Fort Collins, Colorado, facility keeps duplicates of every ARS plant collection in highly secure storage. "It is critical to give breeders all possible options in the future," Tay says. "There may be genes that can help plants survive climate changes, drought, and pests, and other genes could have medicinal value for people and animals. We are working closely with OSU's College of Pharmacy to explore medicinal uses." Read more. Twenty-four rhododendrons selected for their adaptability in seven regions of the United States have been awarded Rhododendron of the Year (ROY) honors for 2006. The purpose of the awards is to educate the public about the wide range of rhododendrons that can be grown successfully in people's gardens. To be selected for a ROY award a plant must have excellent foliage and flowers, have an attractive growth habit, prove itself hardy for the specific region and be pest and disease resistant. California/Hawaii Rhododendron of the Year. From spring to fall, one of the biggest joys of flower gardening is being able to bring fresh cut flowers indoors. Here are some hints to keep flower arrangements looking fresh longer, from Barb Fick, home horticulturist with the Oregon State University Extension Service. First, pick flowers early in the morning. Take along a small bucket of warm water and some sharp shears. Cut long stems and remove leaves from the lower part of the stem. If leaves are under water in the arrangement, they will rot. With roses, rub or clip off some of the thorns on the lower stem, too - they just make arranging difficult. After removing the lower leaves, put each stem into the bucket of warm water. While the stems are submerged, cut about an inch off the bottom of each to prevent tiny bubbles from clogging the stem's water-conducting passageways. Choose a clean vase. Leftover scum from previous bouquets interferes with water uptake. Fill your vase with clean water and add some citric acid or commercial flower preservative to the water. Citric acid increases the acidity (lowers the pH) of the water and lets the stems take up water more easily. What better way than to say it with Flowers. Send Frienship Day Flower Gifts to your friends this friendship day to show how much their friendship means to you. 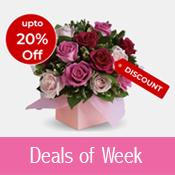 A bouquet of flowers has traditionally been the most ideal gift since time immemorial. Over the years individual flowers have acquired Meanings of their own. You should at least have a hint about the various Flower Meanings to ensure that your Frienship Day Flower Gift does not convey an unintended message.. The perfect choice for your friend on the Friendship Day is a flower arrangement that convey your feelings with their meanings. Each flower has its own significant meaning. Bringing together the right flowers in a Friendship Day Flower Arrangement to convey your messsage is very important. Friendship is a great reason to celebrate. Friendship Day is celebrated first Sunday of every August. Friends come all shapes, sizes and guises: childhood buddies, school friends, siblings, partners, work colleagues, parents, pets and neighbours. And there's no better way than with Friendship Day Flowers to show your friends they are truly appreciated! Thanksgiving is the time for celebration and to offer thanks and gratitude. Thanksgiving is the time for togetherness with your family and friends. Flowers are the best message-bearers. Send Thanksgiving Flowers to convey your wishes with a message from your heart to your family and friends.You can send a Thanksgiving Cornucopia, an Autumn Bouquet, or a Harvest Wreath. Send Thanksgiving Flowers To make your Thanksgiving Day a memorable one. According to the United States Department of Agriculture (USDA) Floriculture Crops Survey for the year 2005, compiled by the National Agricultural Statistics Survey, orchids are growing in popularity in the United States. Currently second in potted flowering plant sales with a wholesale value of nearly $144 million, orchid sales increased by approximately 12 percent this past year. This is the highest percentage increase of all the potted flowering plants in the category. Orchids are second in sales behind poinsettias, which experienced a two percent decrease with more than $242 million in sales, and they are significantly ahead of third-ranked chrysanthemums, which increased slightly to $69 million in sales. Orchids have been included as a separate entry in the annual USDA Floriculture Crops Summary Report since 1995, when they were first submitted by the nonprofit AOS. Floriculture refers to plants in the categories of bedding, cut cultivated greens, cut flowers, flowering potted plants and foliage plants. California and Florida lead the nation in production, accounting for 43 and 34 percent of the country's orchids, respectively. Hawaii accounts for 15 percent of the production. Together, these three states account for more than 90 percent of the country's orchids. Long known as a flower of distinction, orchids have an undeniable mystique. Orchids are included as backdrops in many cinema and television scenes, and are featured in countless advertisements and magazine covers for everything from clothing and furniture to architecture and design. Because of their beauty, relative low cost and hardiness, orchids are also increasingly becoming a central aesthetic touch to the home lifestyle. Exceptional plants are produced at low cost by nurseries throughout the United States, but the huge volume of quality plants grown and marketed by large commercial growers in Florida and California contributed to most of the sales boom. Reference. Two of the newest additions to an ever-growing list of original ornamental plants produced by breeders with the U.S. National Arboretum (USNA), Washington, D.C., are lilac cultivars named âOld Gloryâ and âDeclaration.â They were recently released to the public by the arboretum, administered by the Agricultural Research Service (ARS), the U.S. Department of Agricultureâs chief scientific research agency. Old Glory and Declaration are two new Syringa cultivars developed in the arboretumâs shrub-breeding program. Bred and initially selected by the late USNA horticulturalist Donald Egolf and released by geneticist Margaret Pooler, they follow the release of the âBetsy Rossâ lilac in 2000. Old Glory and Declaration are each suited to a variety of landscape uses, including as background plantings in shrub borders, as deciduous hedges, or for mass-plantings in larger areas. Old Glory was selected for its abundant fragrant, bluish-purple flowers, rounded growth habit and disease-tolerant foliage. In 25 years of testing in Washington, it grew nearly 11.5 feet high and a little over 13 feet wide. Compared to other Syringa x hyacinthiflora types of lilac, Old Glory has shown good field tolerance to Cercospora blight and Pseudomonas syringae in warmer climates where these diseases are a problem. It has also shown better-than-average tolerance to powdery mildew. Declaration was selected for its fragrant, dark-reddish-purple flowers, nearly foot-long flower clusters and open, upright growth habit. In 25 years of testing at the arboretum, it grew 8.5 feet high and about 6.5 feet wide and also is well suited to a variety of landscape uses. However, it is recommended primarily for traditional, cooler lilac-growing regions. Both Old Glory and Declaration bloom in mid- to late April at the arboretum, which is located in Plant Hardiness Zone 7a and has an average minimum temperature range of 5 to 0 degrees Fahrenheit. Planting stock should be available from a limited number of nurseries in 2006, and should be available from retailers in 2008. Reference. Attracting butterflies to your gardens is very easy. To attract butterflies, all you will need are beautiful plants, a sunny spot near shrubs and a mud puddle. The eastern black swallowtail (Papilio polyxenes) is one of the more commonly found butterflies in our area of the United States. We have had so many caterpillars invading our area of the country this spring eating our tree leaves, but this is not one of them. If you see a two-inch white to leaf-green caterpillar with black bands broken in segments by yellow or red-orange spots, this is a "good" caterpillar and it will turn into a beautiful butterfly. It loves the nectar of Queen Anne's lace, carrot plants, parsley, phlox, and milkweed plants. It likes open spaces including gardens, farmland meadows and the banks of watercourses and can be seen around here in late spring to early autumn. There are lots of other beautiful butterflies in our area and you can attract them by planting some of their favorite plants and giving them a friendly and safe habitant to hang out in. Shrubs or trees are great for protection from wind gusts, which they don't care for. A beautiful perennial or herb garden nearby with their favorite nectar plants include: Catnip, common milkweed, meadowsweet, pickerelweed (a cordata), Queen Anne's lace, spotted knapweed (a centaurea), purple loosestrife (yes, the one that grows wild in our swamp areas that is taking over), common boneset and spotted joe-pye-weed (eupatoriums), lance-leaved goldenrod (I just sneezed), and asters (an annual and there is a fall aster). Other good but not so popular nectar plants include: bee balm, butterfly bush, cosmos, cone flowers, lilac, marigold, sunflower, sweet pea, verbena and zinnias. Lastly, a "mud puddle" of sorts is highly recommended so that the mostly males can gather and drink. Mud can also be made from sand. The females spend their time searching for food plants to feed immature caterpillars and to lay their eggs on. Reference. The word "plectranthus" sounds like it could be some dinosaur that's been discovered in a South Mississippi gravel pit, but believe it or not, a variety named Mona lavender is a 2005 Mississippi Medallion Award winner. Mona lavender, which is one of the hottest plants in the world, has passed muster in Mississippi State University trials and was chosen by the Mississippi Plant Selections Committee for this prestigious award. You may be thinking you have heard of plectranthus before. You have: it is the same genus that gives us Swedish Ivy, Mexican Mint and Creeping Charlie. Mona lavender is different because it is grown for its flowers. It is a hybrid developed at the famous Kirstenbosch Botanical Gardens in South Africa, and it performs exceptionally well in the South. The small, bushy plant has dark green foliage with hints of purple. The undersides of the leaves are dark purple. Though its foliage is handsome, it is the spikes of dark lavender flowers that everyone adores. These flowers are produced for months in the garden. Mona lavender prefers moist, well-drained soil in morning sun and afternoon shade or filtered light. This plant will reward you for efforts in bed preparation. If you have tight, heavy soil that doesn't drain well, incorporate 3 to 4 inches of organic matter and till in 6 to 8 inches deep. It has virtually no insect or disease pressures, making it an environmentally friendly plant. Mona lavender is a versatile performer, exceptional as a border plant and impressive in mixed containers. Mona lavender also has a wide variety of partners for the landscape. One of the most striking combinations is with pink hydrangeas. If you already have hydrangeas in place, try expanding the bed in front of them to allow room for Mona lavender. At the MSU Experiment Station in Crystal Springs, Mona lavender was used with lime green Joseph's Coats and bananas for a Caribbean look. The tall bananas produced just the right amount of shade protection from the hot afternoon sun. The Joseph's Coats contrasted nicely with both the lavender flower spikes and the purple tinted leaves. Also try combining Mona lavender with lime green or gold coleus selections. Another striking combination planting would be in a large shade garden with hostas like Guacamole or Paul's Glory. Or try it with the Japanese Painted Fern. Impatiens in pastel pink or lilac would also make nice companions. Your choices may be overwhelming at the garden center, but Mona lavender plectranthus is a must-try for your shady area. As you can tell, there really are a lot of enticing companions. The Mississippi Medallion Award program began in 1996 with Blue Daze evolvulus and New Gold lantana, and I assure you that Mona lavender plectranthus will perform as a true winner, as well. The Mississippi Medallion Award program is sponsored by the MSU Extension Service, Mississippi Agricultural and Forestry Experiment Station, Mississippi Nursery and Landscape Association, and the Mississippi Plant Selections Committee. Reference. The seeds have been sown for another fantastic Knowsley Flower Show this August â attracting growers and plant lovers from across the UK. This is the eighth year that the Flower Show has been held in Knowsley, and the event continues to grow in popularity, attracting more than 10,000 visitors. For 2006 the show will once again offer a feat of family fun with even more activities to make the day even more "blooming marvellous" than ever before. Once again, organisers are hoping to attract as many new entrants as possible and have included plenty of amateur gardenerâs categories to allow everybody - regardless of age, experience or type of garden - to take part. Whether you are lucky enough to enjoy sprawling acres at home, or simply stick to window boxes, thereâs something for everyone, with prizes on offer for everything from pot plants to vegetables, floral art to photography. Cllr Eddie Connor, Cabinet Member for Leisure, Community and Culture at Knowsley Council, said: "The Flower Show is one of the highlights of the summer in the borough. It is a fantastic free event that attracts thousands of visitors each year from both near and far. "Now is the time for would-be competitors to get growing and there are plenty of different categories to suit you no matter what your age or gardening experience." In fact, there are more than 100 categories to choose from, so whether you fancy cultivating some gorgeous geraniums, ravishing roses or fabulous fuchsias, harvesting tomatoes, potatoes, peas or beans, or simply arranging a stunning display of cut flowers, this is the show for you. The Knowsley Flower Show takes place on Sunday, August 6, from 11am to 5pm at Court Hey Park (home of the National Wildflower Centre), on Roby Road, Huyton. Admission is free. For more information, simply pick up a Flower Show schedule from any of the boroughâs libraries or one stop shops, or call 0151 433 2155. You can also view the whole schedule, as well as information about the show online at Knowsley Flower Show website. Big and rowdy, loud and lovely, this sprawling woody vine is colorful showboater wherever it is grown. Bougainvillea was named for Louis Antoine de Bougainville, a Frenchman who sailed around the world in 1767. I think it is pure luck that Amerigo Vespuci sailed first or it's possible that we would now be living in United States of Bougainvillica! Even though continents and countries were not named for him, Monsieur de Bougainville is immortalized in the genus name for a group of very spectacular flowering vines and shrubs. The bougainvilleas are mostly evergreen or semi-evergreen dropping their leaves for a brief period in winter. Their woody, thorn-armored canes soar to great heights and then tend to flop over sprawling across whatever is adjacent. This can look rather sloppy so many gardeners trim their plants into shrubs removing the overly enthusiastically growing canes as they appear. The heart shaped leaves are rich green and 3-5 in (7.6-12.7 cm) long. There are several species and hybrids in cultivation. Bougainvillea glabra is one that which is great for container plantings and has smooth leaves and smaller and fewer thorns than its relatives. The leaves of B. spectablilis, another garden favorite are hairy beneath and this one is a huge sprawling plant that is perfect for arbors and draped along fences where it creates a security barrier by virtue of its thorns and dense twiggy growth. Bougainvillea flowers are small yellow white waxy tubes that aren't very impressive. However they are surrounded by three 1-2 in (2.5-5.1 cm) long papery bracts and it is these that are responsible for the colorful displays for which this genus is famous. B. glabra is a smaller plant with less thorny canes and blooms prolifically from summer to autumn. The rampant grower B. spectabilis can rapidly reach 30 ft (9 m) while B. glabra stems grow no more than 20 ft (6 m) at best. The hybrid B. x buttiana (B. glabra x B. peruviana) is the source of many named cultivars. These are very vigorous growers that can climb to 40 ft (12.2 m) high and are smothered in color from summer to autumn. Learn more about Bougainvilleas. The Florverde initiative of the Colombian Flower Exporters Association (Asocolflores) is gaining ground in the UK. Marks & Spencer, Asda and Tesco and packers Flamingo, Intergreen and Worldflower; have all recently demonstrated increased interest in the quality label that certifies the environmental and social responsibility of the farms that take part in the programme. âAfter visiting and confirming the quality of our flowers, Marks & Spencer significantly increased its orders of Colombian flowers,â said a spokeswoman for Asocolflores. âFlorverdeÂ®, in turn, guarantees the supermarket that it is purchasing an excellent product for its clients.â The label was created in 1996 and is endorsed by the Swiss-based firm SGS. It is in the process of harmonisation with EurepGAP and with the ETI Base Code. According to Asocolfores data up to March 2006, 74 different Colombian flower types and varieties had been certified by Florverde, which translates into nearly five trillion stems. Reference. Visitors will have the chance to take a trip down memory lane at one of Norfolk's best-loved events next month. An exhibition of photographs and other memorabilia charting the history of the Sandringham Flower Show is being staged at the 125th show on Wednesday, July 26. The event is again being held in association with the EDP, which this year is introducing a new trophy for the best display by a local gardening club or society in the royal marquee. There are hopes that show patron the Prince of Wales and his wife, the Duchess of Cornwall, will make their customary tour of the showground, which is set against the backdrop of the Queen's private residence at Sandringham House. Last year the couple chatted to well-wishers during a two-hour walkabout. Eight entrants will be vying for the EDP Best in Show trophy in the show gardens competition, which was launched in 2004 and is now a well-established feature. The contest will be judged by top TV gardening presenter Chris Beardshaw, who will be making his third visit to Sandringham, joined by fellow horticultural expert Alan Mason. Mr Beardshaw will also give a talk and take part in a gardeners' forum. In response to public demand, the Utterly Butterly Barnstormers flying and wing-walking team will be returning to take part in the main arena activities, which will also feature medieval jousting, a dog team display, the Minden Band of the Queen's Division and the Sandringham Grand Prix with customised lawnmowers. A packed programme will also include the traditional flower, fruit, vegetable and floral classes for people living on the estate, open amateur classes, more than 200 trade and horticultural stands, charity stalls and a craft marquee. The show, whose enduring royal patronage was typified by the enthusiasm of the late Queen Mother, has raised Â£330,000 for good causes over the years and continues to pull in huge crowds, come rain or shine. Reference. When it comes to glamour in the garden, there's no doubt orchids are high on the list. Growing and cultivating one of the thousands of species of orchid is no longer confined to the wealthy - or the wealthy with time on their hands - but it can still be an expensive hobby for those who become really passionate about the flowers. "Once you're hooked, you're hooked," says Debbi Wares, who has been growing orchids for years with her husband, Garry. "They're not cheap to buy and there's the ongoing time spent fertilising and caring for them as well. "But the problem is once you get hooked you keep buying them - you keep seeing new ones ... it's just limitless, the varieties of colour you can get. You could never get one of everything." The author of books on orchids and editor of The Australian Orchid Review, David Banks, says that while young plants can be bought for as little as $5 or $10, the cost can soar into the hundreds and thousands. "There's a bit of mystique about them," he says. "A hundred years ago orchids were only for the very, very wealthy - and that's obviously changed now, because superior propagation techniques have made the plants more readily available. "I still believe there's a status sort of thing with them ... to me orchids are the pinnacle of the flowering plants. But I think the main thing that gets people in is that there's so much variety in orchids. There are more than 30,000 species - and a lot, obviously, that people have never seen". "They cater to everybody: they're in every single colour that you can think of - even blues and blacks - and you get flowers from a couple of millimetres across [to more than 60cm]." Living in Australia makes growing and caring for orchids much easier than in many countries overseas. Our climate means plenty of orchid varieties can be grown in the garden instead of a special greenhouse with heating or air-conditioning. However, Banks warns those new to the art to research a plant's origin carefully before they decide how to look after it. "You've got to do a bit of detective work because not only do you need to work to find out what country the orchid has come from originally, but also its habitat," he says. "It's no use just saying it comes from Ecuador, because if it grows on the coast it's hot and tropical there, so it needs a heated glasshouse and wants to be kept warm and cosy all the time. But if it grows up in the high mountains just under the snowline it needs to be kept cool all the time. And it might be grown in a really wet area or a dry area. Reference. Industry insiders are hoping the fast-blossoming horticultural industry will eventually turn Dalat into a prime nower city in Asia. "Not many cities can grow flowers and Dalat has the potential to be the flower city of Asia," said Thomas Hooft, general director of Hasfarm, the leading grower in the Central Highlands and the only flower exporter in the country. Starting with two hectares of greenhouses in 1994, Hasfarm has aggressively expanded its flower growing areas. After using all 29 hectares of land in the first phase, the company has now expanded over another nine hectares in Dalat. The grower is cunently proceeding with a much bigger development, aiming to turn 250 hectares in Finom Don Duong area into a flower, vegetable and dairy farm, where it has built 15 hectares of green houses, eight hectares of net houses and raised 450 cows. Expanding production has allowed the grower not only to meet demand from the domestic market, but also to become one of the leading flower exporters in the country. Most of its products are for export, earning the company US $10 million in revenue annually. Hasfarm began with its first export order to Thailand in the mid 1990s and is now extending its reach to Japan and Australia. It has weekly orders to Cambodia, Singapore and Indonesia and is aiming to penetrate east Asian markets. Hooft said Dalat could become a new "Holland" in flower exports in the next 10 to 15 years if local fanners were helped to grow high-quality flowers on an industrial scale. Hasfarm's success is encouraging Dalat fanners to expand their flower growing. Currently, some 6,000 families in the resort city are engaged in flower production with more than 1,000 hectares of green-houses. "By starting flower production activity, we have created a flower industry for Dalat,' said Hooft. The Dutchman said local farmers were now earning enough to buy motorbikes, televisions and build new houses, but that there was little investment in more sophisticated green houses. "They need to invest in green- houses because their current flower quality does not meet standards for export. If they can meet export standards, we will buy from them," he said. Hooft said only 10% of the company's local market share came from local fanners and the banks should lend to fanners so that they could buy more sophisticated greenhouses and irrigation systems to grow products for export. Hooft said Dalat possessed good conditions for flower growing, as the city has a cool climate, no pollution and a nice landscape, which encouraged him to select the area as a production base after exploring several other countries in Asia. Japan is currently the biggest market for Dalat flowers, and Lam Dong provincial authorities are hoping that a giant resort proposed by investors from the country would boost its image as a flower resort city in Asia. Phan Van Dung, the deputy director of Lam Dong Planning and Investment Department, said provincial authorities were negotiating with Japanese investors over a plan to build a US $1.2 billion resort town in Dalat. The Japanese investors have proposed the construction of a "Romantic City" in Dan Kia-Suoi Vang area, featuring thousands of villas with flowers growing in the surrounding area. (VIR). Reference. Companies from Singapore and the Chinese province of Yunnan are tying up to bring flowers and other fresh produce to international markets. Singapore's growing trade ties with Yunnan were given a boost on Friday when three Memorandum of Understanding agreements amounting to some S$20m were signed. One of the projects unveiled at the Yunnan-ASEAN investment seminar on Friday involves homegrown specialised logistics services provider Trans-Link. It is investing some S$8m over the next two years to set up freight and logistics operations with a cold chain focus in Yunnan's Gaoxin bonded warehouse. Yunnan officials say Singapore's technical know-how, and business management skills will give its many agricultural exports easier access to international markets. "It's fundamental that we improve the entire distribution and sales process for our agricultural products. This includes improving and completing the cold chain system. Singapore's world-class transport and logistics infrastructure, and Yunnan's rich agricultural products will complement each other," said Kong Chuizhu, Vice-Governor, Government of Yunnan Province. The tie-up is expected to help boost the local flower industry. "Through certification of products that come out of Singapore, which increases the value proposition and the value to the customers overseas and better handling of the product, we see good opportunities for branding. All these factors will allow the growth of the flower industry in Singapore and to build a name for Singapore internationally as well," said Royson Wong, Deputy Group MD, Trans-Link Express. The other part to scaling up Singapore's flower industry is to create a flower exchange or a marketplace where international players can gather to buy and sell. One of the agreements signed involves putting up an initial investment of S$2m to set up such an exchange." Industry players say they are considering various trading mechanisms such as the Dutch or open auctions to be located in Singapore. "We haven't decided on the best method for us. We don't want to be a copycat - we just want to make sure that whatever we do decide on best fits Singapore and Asia," said Loi Pok Yen, Group CEO, CWT. Singapore's flower export industry is now worth some S$40m. Industry players are aiming to increase it by tenfold in five years. Reference. Exercise isnât always something hospital patients look forward to. And gardening isnât always something thatâs easy for people in wheelchairs to do. For the four patients in a recent horticultural therapy session at Euclid Hospital in suburban Cleveland, this was a chance to chat, to create and to forget about their ailments for a while. It just so happened they also were working on such goals as improving their endurance and balancing on their feet. So lifting a scoop of soil was a weight-bearing exercise disguised as a creative endeavor. Reaching for plants encouraged them to stand in the midst of a pleasant diversion. Well, sometimes the exertion was evident. âIâm gonna get a hernia,â Thomas Metcalf joked as he struggled to pry apart the enmeshed roots of a spider plant. At Heron House, a south Fort Myers assisted living facility, resident Omer Fortin, 83, knows that gardens are good for the soul. So the former farmer and skilled carpenter built special elevated beds that allow his friends in wheelchairs to harvest cucumbers, squash and other fresh veggies â not to mention stop and smell the flowers. Horticultural therapy involves working with plants in a way that benefits peopleâs physical and emotional well-being, said Karen Kennedy, manager of wellness programs at Holden Arboretum and the leader of the class. Research shows working with plants helps people feel better, and the class is designed to capitalize on that by incorporating activities targeted toward such goals as building strength, improving coordination, sharpening cognitive skills and reducing blood pressure. Cards printed with the patientsâ individual goals reminded them that this was a therapy session, but somehow, it didnât seem so much like work. The emotional benefits were immediately clear. The participants fell into an easy conversation as they worked on creating dish gardens under Kennedyâs direction. They shared stories about gardening at home, laughed at their struggles and told each other about their families. It also helps take the patientsâ mind off pain. When the hospital began offering the program, it had participants fill out pain surveys before and after the class. The decrease in pain experienced by the patients was marked, recreational therapist Karen Burns said. Horticultural therapy also is something patients can continue at home on their own, Kennedy said. June Nipros seemed set on that. âThis is going to fill out, and it will be beautiful,â she said, admiring the arrangement sheâd created. She fingered the leaves of a tiny plant that hugged the soil in her pot. âIâm anxious for this waffle plant to grow,â she said. An agile Chinese orchid performs a floral version of sexual intercourseâwith itself. Researchers say an extension of the male flower part, or anther, turns an upside-down loop to deliver spermlike pollen spores directly into the female cavity. The anther bends to enter the female chamber from below and is secured in place by a ring structure on its stalk to ensure fertilization. The flower is the first known plant in which pollination is entirely self-directed, with no outside agents or forcesâsuch as bees or breezesâplaying a role. Biologists observed the elaborate style of reproduction in the bisexual orchid Holcoglossum amesianum, a tree-dwelling plant found in the dry forests of China's southern Yunnan Province. LaiQiang Huang of Tsinghua University in Shenzhen and colleagues studied the unusual flower. The team's findings will appear in tomorrow's issue of the journal Nature. Reference. Ever since there have been kids, there have been kids in the dirt. And these days, that's a good thing. Charlie Nardozzi, senior horticulturist at the National Gardening Association, says that heightened concern about kids getting enough exercise and eating right has brought a new generation of children into the garden. "Gardening is a great way to take care of both of those issues, says Nardozzi, whose group encourages children's gardening through programs and the Web site, kidsgardening.com. "You're planting things, bending, stretching, moving your body. Planting fruits and vegetables encourages young children to actually eat them, Nardozzi says. "Most children today don't have a sense of where their food comes from, he said. "It's amazing to see the expression on kids' faces when, for the first time, they eat a pea or a bean that they've actually grown. Ronnie Doucette, a master gardener and coordinator of the summer program at the Children's Garden at Cornell Cooperative Extension's Suffolk County Farm in Yaphank, says being in a garden allows kids to unplug from their busy daily lives and connect with nature. She describes "harvest parties at the farm, in which children involved in the summer program get to pick the fruits, and vegetables, of their labors and eat them. "We pick tomatoes, chop herbs, she says. "And when they eat it, it comes together for them. Curricula incorporating gardening are coming into the classroom more and more, Nardozzi says. "It's a way for a science teacher or a math teacher to present a different kind of learning. It's a lot more hands-on. Caroline Kiang, director of the cooperative extension's community and environmental horticulture, agrees. "We're getting more requests for advice on children's gardens in schools, she says. "There seems to be more interest. They're also popular outside the classroom, everywhere from the Long Island Children's Museum in Garden City, where gardening workshops are offered, to the Clark Botanic Garden in Albertson, which features children's organic gardening. Doucette says that, beyond the obvious science kids glean from gardening, there are other benefits. "They learn math skills, weights and measures, Doucette says. "There's a lot of different skills that get incorporated. The students sometimes keep a journal about their gardens, so there are writing skills involved. Research supports a link between children's gardens and learning. A 2005 study in the Journal of the American Society for Horticultural Science found that third-, fourth- and fifth-grade students who participated in school gardening activities scored significantly higher on science achievement tests than students who did not. As far back as 1909, influential educator Maria Montessori found that gardening can help children appreciate nature, learn about responsibility, have better relationships and develop patience. Laurie Farber, executive director and one of the founders of Starflower Experiences, a Long Island-based nonprofit educational organization which will soon be moving into Huntington, has seen students grow along with their seedlings in the after-school program she runs at the Martin Luther King Elementary School in Wyandanch. The children's garden at the school began three years ago as an outgrowth of a nature program her group runs called Rangers of the Earth. "The fourth graders in the program wanted to start a garden, they wanted to get involved, Farber says. To start the garden, she says, she made a list with the students to find out what plants they were interested in growing. Strawberries have been a big hit at the school, and Farber says the kids take pride in their harvests. "They know if they worked on it, they get to eat it, Farber says. "Our garden is not big enough that we'll ever be able to have a whole meal out of it. Usually, when things ripen, the kids want to eat them right out of the garden. And that's nice too. Fifth graders in the gardening program say all the work has its rewards. "We get to go out and play in the mud, says Shirley Roberts, 11. "We have to weed and put the wood chips in the walkway. But I tell other kids that it's fun. Read more. This annual sprawling shrub is also known as Red Riding Hood or Brazilian Jasmine 'Red Riding Hood'. The genus mandevilla was once named dipladenia. Nurseries have recently started calling mandevilla 'Red Riding Hood', Dipladenia or Brazilian Jasmine in order to differentiate it from it's more vining cousins. It is a sport from a hybrid of M. xamabilis and M. sanderi. A sport is a plant that is significantly different from its parents due to mutation rather than hybridization due to cross-pollination. Rather than a vine, this is a sprawling shrub that can be trained on a trellis, but also looks and does fine as a shrub. The dark green, glossy leaves are only about 2 inches long and are ovate or elliptic in shape. Dipladenia will bloom whenever the temperature is above 50 degrees fahrenheit at night with clusters of 2-inch-wide very deep pink to red blossoms with a deep yellow throat. The flowers are shaped like a typical mandevilla except fort the petals being somewhat curved backward at their tips. This flowering plant is perfectly suited for containers, hanging baskets, window boxes and landscapes. Allow soil surface to dry slightly between thorough waterings. Fertilize regularly. Reference. The Chinese call Peonies the King of flowers or the Flower Fairy. Peonies are herbaceous perennials. There are 30 species of Peonies, but some are woody shrubs with 10 species. Peonies were named in honour of Paeon, the physician of the gods. Since ancient times, Peonies have been regarded as the symbol of wealth, luck and happiness. Peonies always represent elegance and poise. Mumbaiites (india) starved of space for greenery on Monday received a precious gift in myriad colours and fragrancesâa garden dedicated to roses. The gardenâit is the first of its kind in the cityâspread over 1,000 sq mt in the premises of Nehru Science Centre (NSC) at Worli, was inaugurated by Vice-Chancellor, University of Mumbai, A D Sawant, who is also the president of Mumbai Rose Society (MRS). Three hundred and twenty plants of 50 rose varieties have already been planted and form a riot of colours. ââI thought of a rose garden for our city after visiting similar gardens in Hyderabad and Bangalore last year,ââ said Rajendra Aggarwal, president of Rotary Club of Bombay Queen City, that will provide the funds for the maintenance of the garden. ââSince then, we started working towards mobilising funds and getting this land. We worked very hard to restore this land, which had been lying barren and now, our efforts have paid off,ââ he added. The Rotary Club has spent Rs 60,000 on the garden since February and the expertise for planting and nurturing the plants is being provided by the MRS. ââThere will be miniature âbuttonâ rosesâthose with petals of more than one colourâand plants with more than one colour of flowers. The garden will be a real treat for the city,ââ said Dr Vidyadar Ogale, President MRS, formerly head of the Landscape Department at the Bhabha Atomic Research Centre. Others involved with the project shared his enthusiasm. ââThis popular flower will attract thousands to the garden. We will improve it further in the next few months and after the rains, we will sow even more hybrid varieties that will be in bloom throughout the year,ââ said Padmakar Nandakar, director, Rotary Club. The garden is open to visitors on all days between 10 am and 6 pm. Reference. Russia's second city will see 6.5 million newly planted flowers bloom for a meeting of world leaders next month, city officials said Monday. St. Petersburg will host the annual summit of the Group of Eight industrialized nations July 15-17. Russia currently holds the rotating presidency of the group. "Planting is in full swing now. Plants such as tulips are being dug out and replaced with summer-flowering plants," an official said, naming geraniums, floss-flowers, hydrangeas, petunias and touch-me-nots among the season's highlights. Some 875,000 flowers will be planted in vases and pots as well as in flower-beds to decorate the city center. Another 746,000 will line an avenue leading to the suburb of Strelnya, where most of the G8 summit's events are to take place in the Konstantinovsky Palace residence. Officials said St. Petersburg would see 50% more flowers bloom this summer than in previous years, adding that up to 800 gardeners have been mobilized for the ambitious planting campaign. Reference. The Common Purple Lilac (Syringa Vulgaris), is the New Hampshire State Flower. Purple Lilac is popular for its beauty and fragrance. Purple Lilac emits one of the most powerful fragrances emitted by any plant. Purple Lilacs are also reminiscent of springtime, young love, grandparents, romantic poetry and other writings. Acacia is one of the very few flowering plant genus which are geographically distributed across the whole globe. Acacia is fond in all the continents. September brings to mind thoughts of the approaching riotous finale of bright leaves that gild the Ithaca hills in October. However a select pallet of herbaceous perennials awaits the final days of summer to begin its flower display. Goldenrod and asters are familiar examples of fall bloomers. But less well known are toad lilies, turtleheads, and anemones. Just as gardens begin to look weary of the summer heat and ready for a fall frost, toad lilies (Tricyrtis spp.) come into their own. Native to China and Japan, these woodlanders are best sited where their unusually patterned flowers can be closely viewed. The exquisitely shaped flowers are composed of six basally fused upright petals crowned with a central columnar star of stamens and pistils that resembles an arching fountain. Luckily, several other selections are far less prone to this problem. 'Miyazaki', a more compact and floriferous selection of Tricyrtis hirta, is less prone to infection and provides a stunningflower display. Both Tricyrtis formosana and T. formosana var. stolonifera (a widely distributed hybrid of formosana and hirta) are graceful plants that form carpets of erect two- to three-foot stems clad in bright green foliage. Small terminal clusters of purple spotted flowers are held clearly above the foliage, producing a good display. A lovely new hybrid, 'Togen', also remains disease free, and carries flowers larger than most other toad lilies, their cream-colored petals suffused with amethyst. Both T. hirta and T. formosana have variegated forms whose soft green leaves are gilded with a pale golden edge. Yellow waxbells (Kirengeshoma palmata) is a plant that impresses me more every season. A native of Japan, this robust woodlander reaches three to four feet in height, is adaptable to sun or shade, and brings a bold texture to the garden throughout the summer. Stems are often purple-tinged, strong and upright, and clad in bold, lavishly lobed foliage. Waxy yellow bell-shaped flowers are held in terminal clusters in August and September. Because the weight of the flowers causes the stems to bow gracefully forward, these plants are best displayed on a slope where they can cascade smoothly downward and the flowers can be seen from below. Despite its many positive attributes, and availability via some mail order nurseries Kirengesgoma remains relatively difficult to find. A similar plant, Kirengeshoma koreana, is inferior in ornamental value, its foliage a paler green and less elegantly lobed. Its faint yellow flowers are held horizontally and pass swiftly. Japanese garden anemones are the royalty of late summer and early fall gardens. The first to bloom is the strongly rhizomatous Anemone tomentosa, still most frequently sold as A. vitifolia 'Robustissima'. Plants reach 18 inches in height and rapidly form dense colonies of wiry stems adorned with substantive three-parted leaves. In early August, clusters of dusty pale pink flowers open to reveal a central tuft of golden stamens and are followed by woolly white seed heads. Anemone tomentosa is the easiest, hardiest, and most adaptable of the fall flowering anemones and will quickly get out of bounds if its foraging network of rhizomes is not controlled. Less rampant and slightly more refined is Anemone hupehensis, which closely follows vitifolia in sequence of bloom. Its flowers are a lovely two-tone pink; the backs of alternate petals are a rich dark pink, while the interior is several shades paler. 'September Charm' is a lovely selection of A. hupehensis, forming a cloud of airy pink in the peony garden at Plantations throughout September. The real gem of the genus is Anemone xhybrida, a hybrid of A. hupehensis var. japonica and A. vitifolia. Since the original hybrid was developed in 1848, many stunning cultivars have been developed, offering single and semi-double flowers in white, cream and various shades of pink. One of the oldest and best selections is 'Honorine Joubert' a vigorous five-footer that produces masses of crystalline white, single flowers accented by a central cluster of golden stamens. A mass planting of 'Honorine' in the ground cover collection at Plantations reliably stops September garden visitors in their tracks. 'Max Vogel' is another vigorous five-footer that displays dense clusters of large, single pink flowers. 'Whirlwind', with its delicate semi-double white flowers, is one of my favorites. If your garden can't accommodate these very tall, vigorous growers, try 'Prince Henry', a diminutive grower that reaches only two feet in height and carries semi-double rosy purple flowers on wiry stems. All the Anemone xhybrida selections are more clump-forming than either A. tomentosa or A. hupehensis. However, once well established, they will begin to move out from their original cluster of stems to form loose colonies. Fall anemones should be sited with care in a soil that drains well, since the fastest way to lose these plants is to let them sit in a wet site over winter. They are best moved in the spring. Like many plants that wait until fall to fully develop, fall anemones can be slow to emerge and begin active growth and can easily be mistaken for dead. Be patient-they will emerge! The pink turtlehead (Chelone lyonii) is a sturdy native of the southeastern United States that, unlike anemones, enjoys wet feet and performs best in rich moist soil in full sun. The rose turtlehead (Chelone obliqua) is very similar, but the flowers are darker pink, and plants are less cold hardy. The pink turtlehead forms a nice clump of sturdy waxy green leaves carried in opposite ranks on stiffly upright two-foot-tall stems. In late August, the tops of these stems are decorated with dense clusters of pink tubular flowers, each peeking out from its enclosing calyx like an inquisitive turtle's head peering out from its shell. There is also a creamy white flowered form, 'Alba', and another selection with the enticing name of 'Hot Lips', which has darker foliage and richer pink flowers. A well-behaved goldenrod that you may want to invite into your garden is a selection of the rough-stemmed goldenrod (Solidago rugosa) dubbed 'Fireworks'. Typically, S. rugosa reaches four to five feet in height and can run quite vigorously, forming large colonies of floppy hairy stems that are not particularly ornamental. 'Fireworks' was first noticed in the wild by Ken Moore of the North Carolina Botanical Garden, who was drawn to its shorter stature and more clump-forming habit. He brought the plant back to the garden for evaluation and later introduced it to gardeners through Niche Gardens Nursery. 'Fireworks' has been contently living at Plantations' peony garden for the last five years, requiring only mild removal of its running stems each spring to keep it in its designated spot. The three-foot-tall stems are unbranched for about 2/3 of their length. Then suddenly, they explode into many slender side shoots, each of which in turn carries an explosion of axillary branchlets coated with tiny yellow flowers. The effect is that of a star-shaped firework that continues to open outward in successive explosions. Its decorative habit and delicate flowers make this plant an exceptional addition to any fall garden. Another interesting goldenrod is 'Gold Spangles', which displays irregular gold splashings on its leaves. Surprisingly, this plant performs best in partial shade, where its two-foot-tall stems of jaunty gold-patterned leaves brighten up dark spots. These are only a few of the fall flowers that can be seen at Plantations. Purple-leaved bugbane (Cimicifuga ramosa 'Hillside Black Beauty'), dwarf cyclamen (Cyclamen hederifolium), late-blooming plantain lily (Hosta tardiflora), and the magnificent pink flower heads of Joe-Pye weed (Eupatorium maculatum 'Gateway') are also in bloom. Come look for them! An 18-month program sponsored by USAID and the Colombian Association of Flower Growers (Asocolflores) trains displaced Colombians to become floriculture technicians and managers, bringing hope to this highly afflicted sector of the population. More than an estimated three million Colombians are displaced due to the ongoing struggle between illegal armed groups and the government for control over strategic and economically valuable regions of the country. One such region is the southwestern province of NariÃ±o, which shares borders with the Pacific Ocean and Ecuador. On the maps of Colombia provided by the National Antipersonnel Landmine Observatory and included along with Shared Responsibilityâs May 2, 2006 featured story, NariÃ±o stands out as one of the provinces with the highest density of coca crops. Consequently, it is also plagued by mines, violence and high numbers of displaced people. According to figures presented by the United Nations High Commissioner for Refugees, (UNHCR) more than 4,000 people have fled NariÃ±o in just 2006, most of whom are indigenous, seeking to avoid violent combat taking place between illegal armed groups (who fund their violent activities through drug trafficking) and the government. Most recently 1,700 of NariÃ±oâs citizens have fled to the city of SÃ¡nchez, where national and international organization have set up camp to try and meet the humanitarian needs of this new group of refugees. Concerns remain, however, for their well-being and for their safety. Fortunately, not all news is bad. As the indigenous people of NariÃ±o flee the violence sparked by illegal guerilla groups, other displaced Colombians are finding new hope by learning all about the flower business, a booming Colombian industry. Participants are taught, over a period of a year and a half, about business management and the technical aspects of growing flowers, while receiving a stipend, housing and access to psychological experts who can help them with the trauma of displacement. Graduates of the program have been able to find jobs in private flower-growing companies, making a good living for themselves. And, some have even started flower businesses of their own. In addition to gaining a new lease on life, trainees provide much-needed expertise to a growing industry in need of skilled laborers. Over the past decade, Colombia\'s flower industry has become a world-class industry, second in production only to Holland\'s. The program, jointly managed by USAID and Asocolflores, is being used as a model for other programs seeking to assimilate displaced people back into the general population. Hopefully, the displaced people of NariÃ±o will also soon be given a similar chance to smell the roses once again. Reference. With the best will in the world, the notion of an all-organic garden can seem daunting. Like growing old gracefully, we know it's the right thing to do, but like that anti-wrinkle cream that promises a better, younger you, the fertilisers and weedkillers on sale at the garden centre can be awfully tempting. But if you've previously adopted the quick fix approach in the pursuit of a plentiful flower bed or vegetable patch, John Fedor is a man who might persuade you to change your ways. Fedor's book, Organic Gardening, sets out to prove that gardening without chemicals is the healthier, cheaper and more satisfying option. After all, the idea of working with, rather than against, nature is a logical one. From a safety point of view - for yourself and the environment - the risks are minimised, meaning there's no need to worry about young children coming into contact with synthetic weedkillers or causing unintentional harm to visiting wildlife. Then there's the cost. "With organic gardening, very few commercial products are required," says Fedor. "Kitchen and garden waste are recycled into compost, reducing the amount of rubbish sent to the incinerator or landfill." The principles are sound, but what about the nitty-gritty of making organic gardening work? First of all, Fedor points out that the approach is nothing new. "I think it's about returning to the attitudes of days of old," he says. Beautiful gardens existed long before chemicals for garden use were invented, although they were inevitably more labour intensive. Fedor says that selecting plant varieties that best suit your region and climate will reduce pest and disease problems. And when you find a plant that works well in your garden, saving the seed provides an inexpensive, reliable way to use the crop again the following year. Fedor is a big fan of heritage and heirloom varieties, firstly because, unlike many modern hybrids, their seed can be saved and replanted. They also benefit from having been proven over many years. A good way to start is to become a member of the HDRA Heritage Seed Library gardenorganic, which gives you access to several hundred of these versatile plants. One of the hardest mental barriers for some of us to get over with organic gardening is that quick fixes aren't recommended. Fedor says that although you can get fast organic solutions - a high nitrogen liquid organic feed to improve an ailing crop, for example - it's better to focus on the long-term solution. A dose of inorganic fertiliser might seem harmless, but, explains Fedor, "each teaspoon of soil contains hundreds of thousands of living organisms. If the pH is changed or there's an excess of some unnatural compound in the soil, these organisms aren't able to do their work." For healthy organic plants, Fedor says that looking after the soil is the organic gardener's number one task. In many ways, this simply involves mimicking nature. Adding compost to the soil reflects the way that, in a wild setting, fallen leaves, animal droppings, annual roots and so on would all decompose, turning into humus and feeding the soil. Gardeners effectively perform the same task by replenishing the soil with compost, and give the crops a helping hand by weeding and watering. "It's a wonderful help in the garden to look at how things work in nature and try to imitate them," says Fedor. If you want to go organic, establishing your own compost heap is a must. After nourishing the soil, Fedor says that planning is the next most important step to a successful organic garden. Picking the right plants for your climate and location can combine with crop rotation to bring excellent results. For the best yield, never follow this year's crop with another member of the same family and arrange your plan so that heavy feeders always follow legumes. The way you plant also makes a big difference. Fedor suggests planting seeds close enough so that the mature plants touch. This means that light to the soil surface will be restricted, preventing it from drying out, and keeping weeds at bay. Companion planting is another useful trick for the organic gardener, and Fedor suggests you experiment to see what works best for you. French marigolds are often popular, helping to kill nematodes in the soil and deter whitefly in the greenhouse. Other tips include growing parsley to deter carrot flies and avoiding growing tomatoes close to brassicas as it impedes their growth. But what if the worst should happen and your plants suffer from disease or get destroyed by insects? "Conventional thinking on pests and diseases is to find chemicals that kill or control them," says Fedor. "Many organic gardeners have taken this same approach and seek out organic pesticides and fungicides that do the same job." But he says this is flawed thinking, because healthy plants, in the right conditions, grow vigorously and almost never require chemical protection against pests and diseases. If your garden has a diverse range of plants, this should encourage beneficial insects which will, in turn, keep pests under control. Other approaches include installing physical barriers or using organic pest control methods such as a soap spray - but be aware that this could kill beneficial insects as well as pests. Biological controls, such as parasitic wasps to keep greenhouse aphids in check, are available from specialist suppliers. It's also worth remembering that the organic approach applies to the whole garden, not just the vegetable patch. There's an organic solution to most problems - for example, a flame weeder should get rid of those weeds between paving stones just as effectively as a chemical solution. And when trees, shrubs and flowering plants are grown organically, they provide a healthy habitat for insects and animals. "Things do get easier," says Fedor. "After a certain number of years of working on your beds, there's very little to do but seasonal maintenance." So it might sound like hard work, but once you've created your own environmentally friendly eco-system, success should come naturally. Reference. Leading breeders of cut flowers and pot plants are set to work together in Dutch Creations. Schreurs Gerbera & Roses!, Van den Bos Flowerbulbs, Anthura Corn. Bak, Jn. Haakman & Zn. P. Kooji & Zonen BV, KÃ¶nst Alstroemeria and Fides are expecting more marketing opportunities. Harry Kloppenburg at Fides, the groupâs spokesperson, said: âEvery company focuses mainly on his own product group, from market research to development of new products and services. Dutch Creations has a broad range of products within the breeding lines, and the group will be an attractive partner throughout the supply chain, according to Kloppenburg. The International Hortfair 2006, from October 31 to November 3, will be the first joint presentation by the group, and the booths of the individual companies will be clustered together at the event. âDutch Creations wants to inspire both retail and wholesale partners,â Kloppenburg added. âWith our combined knowledge and creativity we can add a lot of value for the growers as well. âAt the Hortfair, this will be shown in a creative and inspiring way. For example, there will be presentations of various designers from every part of the world, including the USA, Japan and Europe. âAll companies keep their own identity within Durch Creations, so our customers and contacts will feel at home with us always.â Reference. Rhododendrons have always had a special charisma. They developed a reputation for being the royalty of shrubs, probably because they were an expensive indulgence by the owners of the great estate gardens of Britain and early fine gardens in the United States. William R. Coe developed his estate and gardens at Planting Fields after World War I by importing hundreds of rhododendron plants from England. Today a wide variety of rhododendrons is available in nurseries to be enjoyed by many Long Island gardeners. Visits to Planting Fields in April until early June acquaint you with great numbers of handsome flowering rhododendrons and azaleas, as well as many other fine flowering trees and shrubs. The genus Rhododendron is extremely large, with 900 to l,000 species found growing in many parts of the world. The largest numbers are native to Japan and in mountains and valleys from China to India. Only a handful are native to America's forests, valleys and mountains. One of these, Rhododendron catawbiense, a native of the Smoky Mountains, was introduced to England about l860. This hardy species was crossed with other more tender species from China and gave rise to a host of hardy hybrid rhododendron varieties. These "ironclads" were the principal varieties imported by Coe and others for their gardens at the beginning of the century. Many of these fine old hardy varieties are readily available in nurseries today. âRoseum Elegans', 'Roseum Pink' and 'Catawbiense Album' and are still highly recommended. Many of the more tender varieties, grown reliably in England and the Northwest, find the winters on Long Island more severe than they can stand without injury or winter kill. Unfortunately, some varieties available in garden centers on the Island, shipped here from West Coast growers, are not always reliably hardy. They should be tried only in the most protected locations. An excellent way to become acquainted with rhododendrons best suited for Long Island gardens and to learn how to grow them is to attend the meetings of the New York Chapter of the American Rhododendron Society. They are held at Planting Fields Arboretum. Visitors are cordially welcomed. If you talk with Rhododendron Society members, you will soon learn the varieties they consider the "good doers," or most reliable, in their gardens. Some of those considered best for dependable hardiness and performance are listed in Table 1. Ensure success with newly purchased rhododendrons, or any other shrub or tree, by proper planting and after care. The old adage of preparing a five-dollar hole for a 50-cent plant is still good advice. It is imperative to dig a hole at least three times the diameter of the root ball. It is good practice to prepare an entire bed area at the same time by incorporating organic matter (composted materials or peat moss) and rototilling the area to obtain a uniform soil consistency. A plant should be placed with the root flare or root collar set at or slightly above the natural grade. The hole should be only as deep as the depth of the root ball. This insures that the root ball rests on firm soil to prevent settling after planting. Rhododendrons are surface rooting plants whose roots occupy the upper 3 - 5 inches of soil and need a loose, porous soil to permit adequate oxygen and moisture penetration for the roots. When the hole is filled and the soil is tamped around the root ball, form a 4" deep "saucer" with a rim of earth about 4" high around the plant "pocket." This helps facilitate watering the first month or so. This should be removed after a few months. The rule of thumb is not to fertilize newly planted shrubs until one year after planting. More on Rhododendrons. Annuals are great for filling in holes in your garden and they give you a lot of color, but you have to purchase them every year or start them by seed in February or March on your window sill. Perennials are wonderful and they come up every year in the same spot but you should split them every three years or so, unless you have room for them to spread or don't mind the wild look. They can also be expensive. Then there are the self-seeders. Self-seeders are "volunteers" that self-sow themselves and multiply to their gardener's delight in most cases. These can be either annuals or perennials including herbs and vegetables. Some examples of Self-seeders: Cosmos, forget-me-nots, datura, foxglove, moss rose, perilla, morning glories, calendulas and larkspur will pop up in spring. Some gardeners think they are perennials because they can come up in the same spot year after year. You think they are, but they are not perennials - they are self-seeders. These are wonderful volunteers in the garden. They will drop their seeds in the fall only to have them winter over in the garden and they sprout in the spring. Sometimes a beginner gardener will pull them up thinking that they are gone, but there they are again the next spring! Some self-seeders can be very invasive and take over your gardens. When this happens, you may pull them out like weeds. It is better to figure out which ones you like before you let them re-seed themselves. Do a little research to see which ones you will like that are best suited for your soil and environment. There is a lot of information to be found online, just by doing a search for self-seeders or self-planters. Most of these plants are easily transplanted which is good because they can pop up almost anywhere. You can combine a lot of these self-seeders and create a very nice "wild flower" garden that could be very easy to maintain and attract butterflies and birds. I do have many of these varieties available for sale from my garden. Contact me for more information on starting a wild flower garden in your backyard. Reference. Ethiopia has secured over 600 million birr in flowers exports revenue over the past few years. President of the Ethiopian Horticulture Producers and Exporters Association, Tsegaye Abebe told Ethiopian News Agency that the foreign currency the country is getting from export of flowers has been increasing 50 to 100 per cent annually. The country has generated over 180 million birr from the sector during the previous year, Tsegaye said. Due to expansion works on existing flower farms and increase in the number of investors engaging in the sector, the total export income from flowers is expected to double over the coming year, he added. Currently, 39 flower farms are engaging in the floriculture industry, Tsegaye said, and added that the industry has so far created employment for 25,000 people. Though the government has placed due attention to the sector, shortage of construction materials and limited access to loan service from banks as well as poor infrastructure facilities are among the challenges faced by the sector, he added. Since the new cargo terminal at the Bole International Airport has begun providing service for the shipment of flowers, problems which had been faced due to lack of air freight to transport the perishable products in time have come to be reduced. Tsegaye also said agreement has been reached with officials of the Ethiopian Airlines (EAL) to charter cargo airplanes that will provide service for the flower sector. The Association has been exerting efforts to attract local investors to the sector, Tsegaye said and invited the Ethiopian Diaspora to come to their country and invest in the floriculture and horticulture sector. Ethiopian flowers have won wide demand in the international market, the President said, and added that Ethiopia would become pioneer in the flower industry in Africa over the next few years. Reference. They remind me of volcanoes with trees growing out of them. I've seen people pile up chips over 12 inches high around the trunk of a tree. That pile of mulch keeps the moisture high and, over time, will lead to all sorts of insect and disease problems. Never let mulch touch the bark of a tree. Make a doughnut around the tree, leaving 4 to 6 inches clear of the bark. Don't get me wrong. Mulching is one of the best things you can do for your plants. Look around - Mama Nature doesn't like bare dirt and does her best to cover it up. Mulching preserves the moisture in the soil by reducing evaporation. It also moderates soil temperature both in the summer and in the winter. It keeps dirt from splashing onto lower leaves, preventing soil-borne fungal diseases. And, over time, organic mulches decompose and add important nutrients to the soil, keeping the top layer loose and airy. Roots have to breathe, too, you know. Mulching isn't rocket science, but there are common mistakes people make when applying mulch. As mentioned above, the most common is adding mulch layers up the trunk of trees and shrubs. Apply a layer of mulch 3 to 4 inches deep and a yard out from the trunk. Too deep a layer will allow weed seeds to germinate and take hold on top of the mulch. Another mistake is thinking that the simple act of piling on mulch will kill the weeds that are already there. Sorry. You're going to have to get down on your hands and knees and dig up or spray the weeds before you put down anything. If you use a herbicide, read the label. Most take a minimum of a week to work. You can't expect to spray in the morning and mulch in the afternoon. Mulching your shrubs is similar to mulching around trees. The depth should be the same. However, when possible, shrubs look best when they are mulched in beds together. When planting shrubs, avoid making them into islands in your landscape. Flowers and vegetable gardens should also be mulched. Around 3 inches will be a better depth for them. You might want to use a finer mulch in flower beds than around your trees and shrubs. Your perennials won't mind as much as your annuals about having mulch around their base, but it has a lot to do with the plant and its growing habits. When it comes to the types of mulch, there are a lot of choices. The most common is bark. You can get it shredded or in large or small chips. This is my personal preference for use under trees and shrubs. It breaks down very slowly. Some research has shown that the larger chunks give better weed control. If you have good soil already, this is an excellent choice, since the slow decomposition of bark means that it doesn't supply much in the way of humus for your soil. In flower beds and vegetable gardens where you will be adding plants, dividing plants or planting seedlings, other mulch materials are more appropriate. Commercially available compost, laves and even partially decomposed sawdust make good mulches. Read more. In 1667, after more than a century of bloody battles, the Dutch and the English settled their dispute over the spice trade. Although the conflict centered on cloves and nutmeg, plant researchers have long known that the fuss was really about two closely related organic molecules, eugenol and isoeugenol, which give the respective spices their characteristic aromas. But the researchers did not know exactly how plants make these compounds. Now a team has elucidated the biochemical pathway responsible, as well as identified the key enzymes involved. The findings could have important applications in the food and flower industries. The research group, led by molecular biologist Eran Pichersky of the University of Michigan, Ann Arbor, studied two model organisms that are easily manipulated in the laboratory: basil, which produces large amounts of eugenol, and the petunia flower, whose scent is caused by three aromatic compounds including isoeugenol. In the wild, such aromatic compounds repel herbivores and bacteria while attracting pollinating insects. When the researchers scanned their database of DNA sequences from basil leaves and petunia flowers, they spotted a sequence that matched a gene implicated by another research group in producing the petunia's scent. Pichersky's team fully sequenced this gene and found that it was very similar to another gene in the database that came from the basil plant, the team reports online this week in the Proceedings of the National Academy of Sciences. Suspecting that these genes might code for enzymes involved in eugenol and isoeugenol synthesis, the researchers genetically engineered Escherichia coli bacteria to carry either the petunia or basil versions. When the bacteria were cultured with a precursor in the synthetic pathway, coniferyl alcohol, they obligingly produced the two aromatic molecules--which control bacteria did not do. In further experiments with basil plants, the researchers discovered how coniferyl alcohol is metabolized into an intermediate molecule, at least in the lab, then converted to eugenol. The work is a "major step forward," says Robert Schuurink, a plant molecular biologist at the University of Amsterdam in the Netherlands. Schuurink adds that the identification of the enzymes as well as the intermediate step in the biochemical pathway "now opens the possibility of genetically engineering the aromatic contents of spices." And Pichersky sees other applications as well, such as making plants more resistant to animals and engineering the scents of crop plant flowers to improve their pollination, thus increasing their yields. Ornamental gardening is as much about shapes, textures and juxtapositions as it is about colors. Besides flowers, an excellent source of color in the garden is the multitude of plants with variegated and colored foliage. I doubt that any single group of plants comes remotely close to the rainbow of colors available in the leaves of the coleus, a common tropical plant that has been in and out of favor with gardeners since the 1800s. Coleus is native to Java and other areas of Southeast Asia. It was introduced to Europe by Karl Ludwig Blume during his travels in the early 19th century. The plant was originally named Coleus blumei in honor of Blume, and it became extremely popular in Europe. Victorian "carpet bedding," a technique of making patterned flower beds using colored flowers and foliage, relied heavily on coleus to create bright and intricate patterns in the garden. Coleus is a member of the mint family, Lamiaceae, which includes mint, basil, salvia and rosemary. One of the easily identifiable family characteristics is having square stems. It has recently been reclassified botanically, and its new scientific name is Solenostemon scutellarioides. I find "coleus" a lot easier to pronounce. Coleus plants are tender and won't live through Napa Valley winters unless brought indoors. Used as annuals, they add color to the garden from April to November. Coleus is currently enjoying a comeback, with several hybridizers working to create new and exciting cultivars that are now appearing in nurseries. Most will tolerate full sun exposure but the colors of some can become dull and bleached out. They are happier in locations receiving morning sun, bright indirect light or partial shade. These colorful plants are easy to grow. Plant masses of them together for bright color in a shady area. Combine them with other foliage plants or with flowering annuals for spectacular container plantings. The lower-growing varieties (6 to 12 inches) will create a colorful border, or you can use the taller types (up to three feet) as background plants. You can use branches of these larger varieties in long-lasting bouquets. They will add a lot of color and may grow roots in the vase before they are thrown out with the faded blooms. Coleus has average water needs but should not be over-watered. It performs best in evenly moist, fertile soil, although once established, it can tolerate some drought, making it a great choice for containers. The plants need excellent drainage and regular applications of nitrogen-rich fertilizer. Mulching with compost or wood chips is a good way to reduce their water needs. Coleus is resistant to serious disease or insect problems when grown outdoors under good light and soil conditions. Pests to watch for include mealy bug, aphids and white flies. Potential diseases include stem rot and root rot, usually the result of poor drainage or over-watering. People in the South East have the greenest fingers in the UK, spending the highest amount of money on visits to garden and DIY stores, according to research by Barclays Insurance. The first Saturday of June is supposedly the busiest day of the year for the countryâs amateur gardeners, handymen and home improvers with over 1.2 million people expected to visit their local DIY or garden store, a 50 per cent increase from the average number of shoppers on a normal Saturday. Over Â£50 million is expected to be spent as gardeners are inspired by the Chelsea Flower Show and the prospect of a long weekend with, hopefully, some fine weather. The research from Barclays Insurance reveals that residents of South West Surrey, covering towns such as Farnham and Godalming, spend the most on their gardens (Over Â£350 per capita per year, see table in notes for editors). Other top garden spending areas are North East Hampshire, Mole Valley, Surrey Heath and Tonbridge and Malling. Outside of the South East, Somerset and Frome and Tiverton and also see large sums spent on gardens and home improvements. Londoners spend the least on their home and garden and make the fewest visits to garden and DIY centres, perhaps unsurprising given the shortage of green space in the capital. However outside of London, Yorkshire and the North East are the two regions which spend the least on with less than Â£180 a year spent on DIY and gardens in these areas. Read more. The gardening website, http://www.freeplants.com/, is offering a $1,000 college scholarship to one lucky high school senior. It only costs a few dollars to create a simple homemade plant propagation system, and you'll be amazed at the different kinds of plants you can grow with this simple system. You never get a second chance to make a good first impression. Think about that the next time you're driving around looking at houses. Curb appeal is so important, whether you're putting your house on the market or wanting a fresh look for your home. A great yard definitely improves real estate value, and sprucing up your yard doesn't have to cost a fortune. A recent study states that houses with tidy gardens, freshly mowed lawns, wellstocked flower beds and one or more trees will sell quicker and for a better price than a comparable one without the green features. If you're selling your home, you'll find that everything will be coming up roses (or pansies, or begonias ...) if you simply plant some flowers to brighten your yard. Spring is a great time to plant. Gorgeous flowers in a multitude of colors are available at lawn and garden centers this time of year. Do a little research and choose flowers that will complement your home as well as thrive in your area. A smart way to showcase your flowers and landscape beds is with a great border. Easy Gardener makes a wide variety of edging. One of their borders that will let any landscape bed shine is Emerald Edge. To install, just hammer it into the ground with a mallet. Emerald Edge comes in easy to handle four foot sections and costs less than $1.50 per foot in most stores. Another attractive edging option is Fiber Edge. It is one of the most durable on the market, yet it bends easily and conforms to almost any landscape design. Made of a strong UVresistant fiberglass, this innovative edging comes in an attractive green color that won't rust, rot, crack or fade. If you're opting for something ornamental, try Garden Braid Border. The pound-in border's braided detail beautifully frames any landscape bed. Don't let its good looks fool you; this stylish border works hard, keeping creeping weeds out of flowerbeds while holding mulch in. Best of all, it is sturdy and maintenancefree. Read more. The report investigated in total 360 endangered species in Guangdong Province and Hong Kong Special Administrative Region. Of the plants, 59 are under State protection. "Although orchids are expensive and difficult to plant, planting orchids at home has become a trend since the 1980s," Peng said. "Lots of flower traders exploit wild orchids illegally, causing a great loss of resources." Since the over-exploitation of orchids is a worldwide concern, all orchids were listed as key preserved plants by the Convention on International Trade in Endangered Species of Wild Flora and Fauna (CITES) in 2000, Peng said. The over-exploitation mostly happens in developing countries in tropical zones, which are the major habitats. Controlling exploitation is tougher in these areas, Peng said. Peng said the government should do more to publicize the concept of biodiversity protection. He said he hoped the International Day for Biological Diversity, which fell on May 22, could be enlarged. He also recommended that species similar to orchids that are also endangered should be moved to preservation zones. To the naked eye it looks just like any other form of plastic packaging found hanging from fruit and veg counters up and down the country. But look closer and the clear packaging has an unusual matte film, is slightly cloudy and slightly sticky to touch. Successful trials show that the packaging - a permeable film called Modified Interactive Packaging (MIP) - extends the life of cut flowers by up to three weeks, giving the suppliers the option of shipping their produce by sea rather than using air freight, which will reduce costs, uses less fuel, and is more environmentally friendly. Manufactured by Long Life Solutions (LLS), a packaging technology business headquartered in East Lothian, MIP is, according to chief executive Andrew Wright, the most permeable film on the market. He believes it will offer huge cost savings to businesses worldwide. Food waste and environmentally-friendly packaging is big business - LLS is tapping into a market estimated to be worth more than Â£7bn per year. And that figure is expected to rise substantially as companies, supported by government initiatives, move to higher value waste management options, such as recycling, the incineration of rubbish for energy and heat, and the use of landfill gas to generate power. Last month LLS signed a deal with Hampshire-based World Flowers - the UK's largest flower supplier - to use MIP to wrap all their cut flowers shipped from Kenya to the UK. The deal means World Flowers can save up to Â£3,000 per container in air freight fees and reduce the amount of carbon dioxide emissions by 20,000,000 kilos per year. Ian Finlayson, technical director of World Flowers, said MIP packaging could revolutionise the market. "It could be hugely significant," he says. "There are still a few barriers to go through to get it perfect, but from the trials we have done so far we are sufficiently convinced with the product. We are using it on a small scale at the moment, but we hope to start using it in larger quantities next month with a [full] roll-out later this year." Designed and patented by Australian scientist Jeff Peck, the MIP film has a honeycomb structure and contains tiny stress fractures which manage the atmosphere within the sealed shipping container. Its unique make-up manages the oxygen and carbon dioxide expressed by flowers and slows down the respiration of the produce to keep the product fresh. The packaging also contains an antibacterial formula so when the flowers release carbon dioxide, the formula protects the product and kills bacteria within the produce itself. Wright, who met Peck when he was working as a food supply consultant in 1999, was so convinced by the idea that - with the help of a number of private investors from countries that have a history in packaging and biotech, such as Israel, Holland and Spain - he set up LLS four and half years ago specifically to bring the product to market. "At the time we saw the test data that Peck was using and we knew it wasn't quite there, but with a bit of R&D we could get it to work," says Wright. The firm outsources all its research to institutions including Essex University, Davis University in California and Stellenbosch University in South Africa. It also outsources manufacturing to a number of companies in the UK and US. LLS is now developing similar technology to be used for fruit and vegetables such as broccoli, lettuce, strawberries and spring greens. "We have a number of developments in the pipeline that could be very exciting," says Wright. "At the moment we are a small private company that have kept quiet and kept out of the headlines. After all, we are a supply chain, we are not the most interesting firm. But if this product is as successful as we believe it will be, then it will be huge." Wright says the firm has been valued at Â£50m but his aim is to grow the business to Â£200m within the next three years. A listing on the stock market would follow. Waste and packaging have in the past held little fascination for the stock market. But as the government has sought more environmentally sound - and potentially more profitable - methods of waste disposal, the sector has changed markedly. In March, Severn Trent announced it would demerge Biffa, the UK's biggest waste manager. Analysts predict the firm is likely to enter the FTSE 250 as the UK's biggest waste stock when it lists before the end of this year. And specialist packaging is becoming more commonplace...Read more about the new packaging system for cut flowers. For one week in July the majestic Hampton Court Palace provides the perfect backdrop for the worldâs largest annual flower show. This RHS event features more than 700 exhibitors and illustrates the best in horticulture during high summer. Around 50 gardens showcase established garden designers and new talent, and an array of looks from traditional to contemporary. Visitors can buy plants - new varieties and old favourites - from more than 100 of the UKâs top nurseries and growers, and the finest gardening gifts and accessories from hundreds of stalls. Floral art, fruit and vegetables, plant heritage and floristry are also on show, alongside the unique water gardens and the worldâs largest annual gathering of roses in full bloom, making the Hampton Court Palace Flower Show an unmissable day out. The Flower Show showcases a Festival of Roses which is held in its own marquee, which holds Britainâs largest annual gathering of roses in full bloom. Step inside and experience the sight and scent of thousands of roses under one roof. This is the place to see and buy the best quality roses from the UKâs top growers. Catch one of the talks and demonstrations throughout the week to help you get the best from your roses. Know more about the Hampton Court Palace Flower Show 2006. Join the American Community Gardening Association (ACGA) for an in-depth, hands-on workshop based on ACGA's curriculum for leadership development at Michael Fields Agricultural Institute. Learn proven strategies that community organizers use to develop dynamic leaders and create strong communities through a participatory approach to community building. You will learn the principles and practices of community building, and how to pass these techniques on to others in your community by conducting your own workshops. This two-day workshop will cover Community Organizing, Leadership Development, Grassroots Fundraising Basics, Communications Planning, Coalition Building and is appropriate for community gardeners, non-profit organizers and city greening agency staff. Participants receive the "Growing Communities Curriculum," a 352-page resource workbook, which includes curriculum materials that walk the reader through the process of conducting training workshops. The Curriculum also addresses Diversity, Meeting Facilitation and Group Decision-Making, Developing a Board of Directors, and Grassroots Fundraising - Specific Strategies. Refer the Michael fields website for details on registration. Baguio will have another attraction if the planned propagation of trees with colored tops, including the famous cherry blossoms, turns out to be viable for the resort capital. City Councilor Erdolfo Balajadia filed a resolution requesting the City Parks and Management Office to research the viability of propagating cherry-blossom trees, Asian plums and maples and flowering redbuds here. "Having trees with colored foliage and blooms at certain times of the year can add vibrancy to our parks, roadsides and mountainside, and it could be an alternative attraction to local and international tourists," Balajadia said. He said Baguio has potential areas where these trees can be planted, because the city maintains a number of parks and watersheds where trees, local or endemic, can be propagated for environmental and aesthetic reasons. The other day, I was visiting der Eidel blogger, who was discussing the rising rents and impending demise of New York’s Flower District. He made an offhand point, about using FTD.com to buy flowers, which got a tad under my skin. I commented on his post, but there’s a lot more to be said. Come celebrate the joy of lavender from July 14 - 16. Celebrate eight beautiful Farms on Tour in the stunning Sequim-Dungeness Valley. Celebrate the essence of purple fields swaying in the breeze, the heady aroma of sun-kissed flowers, and the many tastes of lavender. Visit the Street Fair, featuring Northwest crafts and Olympic Coast cuisine. Join more than 30,000 visitors from all over the world in this glorious Festival! The flora fest organised by Malacca City Council has gained popularity among gardening enthusiasts and also businessmen in the horticulture industry. This year the fest was extended to six days from three due to overwhelming response from participants and visitors. Large crowds could be seen admiring the colourful fresh flowers on display daily when the event was held between May 26 and 31 at Dataran Sejarah in Ayer Keroh. Datuk Bandar Datuk Zaini Md Nor said 50 entrepreneurs set up booths to display their plants, flowers and gardening tools. âThe fest has become the platform for the council to increase awareness and interest among the people on flora and fauna, which are the important elements for a balanced environment,â he said. A participant from Shah Alam, Mohd Morhanic C. M. Ali said he quit his job as bank officer and ventured into growing orchids five years ago. He said gardening was his hobby since young but he never dreamt of making it a career till he saw the prospects in growing flowers in the recent years, he said. Problems with flower exports from Kenya â the largest supplier of cut flowers to western Europe â and cold weather in Europe at the end of May and in early June contributed to a steep rise in the prices. Due to a shortage of labour, Israeli growers were unable to meet the demand for their flowers on the markets, but still had one of their most profitable periods for some time. The export of flowers from Kenya was halted due to suspected plant diseases. Secretary of the Israel Flowers Growersâ Association Chaim Hadad said that during the first week of June, Israeli growers exported 20 million flowers, 33 per cent more than during a "regular" summer week. He said the average price per flower was â¬0.3, double the price fetched on the markets during other weeks. Total sales returns in the first week of June totaled NIS35 million (US$7.6m). The flower industry in Kenya was established with the help of Israeli flower growers and experts who were unable to expand their farms in Israel due to then shortage of water and the shortage of manpower. To combat labour problems, sources at the Ministry of Agriculture in Israel told FPJ that the government will approve the entry of 5,000 additional foreign workers, mostly from Thailand, bringing the total number of foreign workers in the agricultural sector to 26,000. This study covers the world outlook for florists across more than 200 countries. For each year reported, estimates are given for the latent demand, or potential industry earnings (P.I.E. ), for the country in question (in millions of U.S. dollars), the percent share the country is of the region and of the globe. These comparative benchmarks allow the reader to quickly gauge a country vis-Ã -vis others. Using econometric models which project fundamental economic dynamics within each country and across countries, latent demand estimates are created. This report does not discuss the specific players in the market serving the latent demand, nor specific details at the product level. The study also does not consider short-term cyclicalities that might affect realized sales. The study, therefore, is strategic in nature, taking an aggregate and long-run view, irrespective of the players or products involved. The UK market for cut flowers and floristry products was estimated to be worth Â£929m in 1997, up from Â£868m the previous year. Specialist florists still account for the majority of sales in 1996, they sold 44% of all flowers and arrangements by value. The fastest growing sector is supermarket sales, which have now moved on from plain bunches to bouquets, arrangements and flowers by order. These currently take 28% of value sales, although much more by volume. Specialist florists are typically `micro-businesses' 77% employ fewer than five people, 64% have an annual turnover of less than Â£100,000 and there are only a dozen chains of any size in the market, the majority being independent shops. The largest groups are the relay services, such as Interflora, which are membership organisations. Interflora is the largest organisation in the market, turning over more than Â£11m. However, the largest company in the market is Flying Flowers, a mail order business based in the Channel Islands, which also has other interests, including retail nursery. 59% of flowers, by value, are bought as gifts or for personal use. There are also distinct markets for corporate arrangements (for example at conferences, hotels and restaurants) and for personal ceremonies, such as weddings and funerals. Telephone and distance ordering through relay systems already accounts for 25% of the market. However, it is anticipated that new services being offered through major supermarket chains, which benefit from consumer perceptions of quality and value, will develop this sector further, raising its share to 30% by 2001. There is also a small, but developing Internet sector. The future prospects for the industry are for overall growth, but retail florists may struggle to maintain their share of the market. Although flowers are becoming more affordable and fashionable, small individual stores will have to consistently upgrade both quality and service to match the variety or quality offered by mass-marketing organisations. Key Note forecasts that sales of cut flowers will be worth Â£1.19bn by the year 2001. This updated report on the development of the market for cut flowers in China deals with the growth in consumer and institutional demand for cut and fresh flowers in the PRC. Chinaâs flower market has grown nearly 20 times in the last decade. The market for fresh flowers in China is growing rapidly as increased personal incomes allow more and more consumers to purchase fresh flowers as a gift or treat. Additionally, the government is encouraging gardening as an activity as part of Chinaâs âgreeningâ campaign in major cities such as Beijing, Shanghai and Guangzhou to compliment the new parks, green spaces and flower baskets cities are installing. This growth is occurring at a time when Chinaâs logistics and transportation system is improving to a level that makes moving flowers around the country from the rural areas to the cities, which are the main markets, far easier than previously. Reflecting the two trends above most of Chinaâs major cities have seen both new flower markets as well as burgeoning chains of florists in recent years. Additionally all cities have clusters of flower sellers such as those found around the Shanghai Flower market between Shaanxi Lu and Maoming Nan Lu in Shanghai where many florists stay open until 20:00 hours or later at night. Additionally, people are using flowers to decorate their homes as part of the general improvement of homes in China as people purchase their properties. Finally, the growth of flower giving at events such as Spring Festival and newer imported traditions such as Christmas, Motherâs Day and Valentineâs Day are boosting the market. Finally, there is a growing internal and export market for sub-tropical plants from Chinaâs southern provinces. China is also a major producer of flowers. Currently, China has the greatest amount of land area in the world devoted to the growing of flowers and plants - a third of the world's total flower producing area. However, cultivation is highly inefficient and China only accounts for 0.5% of the world's total production while in contrast the Netherlands makes up only 10% of the world's total, while the country's export volume accounts for 70%. DUBLIN, Ireland--(BUSINESS WIRE)--June 9, 2006--Research and Markets has announced the addition of the First Research report: Florists - Industry Profile to their offering. The retail florist industry includes about 22,000 retail flower shops with combined annual revenues of $7 billion. While there are no national florist chains, independent florists are usually linked into national wire services providers FTD and Telaflora. 1-800-FLOWERS.COM has over 100 franchised and company-owned shops and franchisor Kabloom also has over 100 franchise locations. 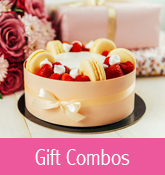 Independent florists are usually linked into wire service providers, such as FTD and Teleflora, which connect customers with florists. The industry is highly fragmented: the 50 largest companies holding just 6 percent of the market. Average annual sales per flower shop are about $300,000. Demand for flowers depends on discretionary consumer spending. The profitability of individual shops depends on effective marketing. Companies focus on a local or regional market and compete based on convenient location, price, and customer service. Florists also compete with supermarkets and mass merchandisers selling flowers, which can often sell at lower prices because of volume purchases from growers or wholesalers. The industry is highly labor-intensive, with annual sales per employee of about $60,000. Major products are cut flower arrangements, potted plants, and loose cut flowers. Flower arrangements account for 55 percent of industry revenue, potted plants for 15 percent. Stores may also sell vases, artificial flowers, and other gift items. The top-selling flowers are roses, carnations, and lilies. Father's Day is a day of commemoration and celebration of Dad. It is a day to not only honor your father, but all men who have acted as a father figure in your life - whether as Stepfathers, Uncles, Grandfathers, or "Big Brothers." They all have their favorite chair. While listening to a Mother's Day sermon in 1909. Sonora Dodd, of Washington, first had the idea of a "father's day. Sonora wanted a special day to honor her father, William Smart. Smart, who was a Civil War veteran, was widowed when his wife died while giving birth to their sixth child. Mr. Smart was left to raise the newborn and his other five children by himself on a rural farm in eastern Washington state. After Sonora became an adult she realized the selflessness her father had shown in raising his children as a single parent. It was her father that made all the parental sacrifices and was, in the eyes of his daughter, a courageous, selfless, and loving man. Sonora's father was born in June, so she chose to hold the first Father's Day celebration in Spokane, Washington on June 19, 1910. President Calvin Coolidge, in 1924, supported the idea of a national Father's Day. Then in 1966 President Lyndon Johnson signed a presidential proclamation declaring the 3rd Sunday of June as Father's Day. President Richard Nixon signed the law which finally made it permanent in 1972 Each year we celebrate by giving gifts and floral bouquets to our fathers, men who have acted as a father figure in your life - whether as Stepfathers, Uncles, Grandfathers, or "Big Brothers, or special friends." Flowers is not just about biology. There are numerous trivia associated with each flower that includes interesting, mindboggling, amazing and fun facts, as well as legends and myths. And, to begin, here's a trivia on trivia: Trivia is the plural of 'Trivium' and a synonym of trifles! Here are some very interesting trivia on flowers. Enjoy them!! 1) Archaefructus sinensis is considered the world's oldest flower. Scientists discovered the flower fossil in north-east China, dating back to 125 million years ago. The Fossilised flower resembled the modern water lily. 2) The Agave flower stem is fermented to make the popular Northern Mexican wine called Pulque. Canadian Thanksgiving is Monday, October 9, 2006. American Thanksgiving is Thursday, November 23, 2006. Magnolia flowers do not true petals and sepals but are composed of petal-like tepals. Southern Magnolia (Magnolia grandiflora) was officially designated as the Mississippi State Flower in 1952. Magnolias trees have large fragrant white flowers and evergreen leaves that make them one of the most splendid of forest trees and a very popular ornamental plant. Magnolia blossoms grow at the end of the tree's branches. Magnolia flowers are saucer shaped and are found singly. Magnolia is a characteristically showy, fragrant flower that is white, pink, purple, green, or yellow. Commonly reffered to by such names viz., Prairie Gentian, Texas bluebell, Tulip gentian, Bluebells and Lira de san pedro, Lisianthus (Eustoma), is a wonderful gift for Saggitarians (born between November 22 and December 21) from the perspective of Astrology. Lisianthus is popular in horticulture, as an ornamental, a potted indoor plant, and as a cut flower. It s a rigid law of nature that the dead, often complex, organic remains of plants and animals must be broken down into simpler compounds or components that can be used by living and growing things. These organic debris or remains are integrated with water, air and the mineral material of the soil to form humus â soluble nutrients that serve to raise the fertility of the soil. In nature, this organic recycling goes on year after year, unimpeded, and in this way soil fertility is built up. In gardens, however, much of the plant cover (in the form of food crops and flowers, et cetera) are removed and seldom replaced. The organic and humus content of the soil thus decline. Previously, one could buy well-rotted organic manure and use it as a good replacement of humus and plant food to sustain healthy plant growth. However, these are getting scarce and difficult to come by. The other option is compost and many reputable firms make it from old shredded oil palm bunches and other organic materials. Making your own compost is not difficult. Compost is the end product resulting from the breakdown of organic debris by bacteria and other micro-organisms, assisted by macro-organisms such as insects and earthworms in a moist, warm and aerated environment. The basic materials required for compost-making are readily available at little or no cost from your home and garden. The process demands little skill or know-how and produces an end product which is a cheap and valuable organic fertiliser. It is ideal for improving the quality of your garden soil. Read more on the benefits of organic fertilisers and and how to produce them. In the language of flowers, Lady's Slipper means Capricious Beauty. Pink and White Lady's Slipper (Cypripedium reginae), one of Minnesota's rarest wildflowers, is the Minnesota State Flower. It is also the state wildflower of New Hampshire. Blooming season of the flower is very short... between June 20 and July 5. Have you ever heard of X-Ray Flowers? X-Ray Flowers are now on display... Be amazed by an array of award winning x-ray flower images on display in At-Bristol from UK artist Boo Beaumont. In her extraordinary collection Boo has used X-ray photography to explore the interior architecture of the flowers. They have an amazing silliness about them that transcends their physical structure, conveying both a sensual and fragile presence. Boo Beaumont's x-ray flowers will be on display in the IMAX Theatre foyer from 1 July - 31 August, 2006 and is entirely free of charge. Rafflesia arnoldii is the largest, solitary, fleshy flower in the world. Rafflesia is a parasitic plant that grows on the lower slopes of mountain ranges, in certain areas of South-east Asia. (Peninsular Malaysia, Sumatra and Borneo). The first Europeans to discover the Rafflesia were Sir Stamford Raffles (founder of Singapore) and Dr Joseph Arnold in 1816, near the town of Bencoolen (Bengkulu) in Sumatra and this particular species was named Rafflesia arnoldii in their honour. Besides being the world's largest bloom, it is a very strange and baffling plant. Belonging to the family Rafflesiaceae together with Mitrastemonaceae and Hydnoraceae, they constitute the order Rafflesiales. The Rafflesia has no specific flowering season. It has no roots, stem or leaves. In addition, each flower produces just one seed and this seed can only germinate if it succeeds in lodging itself in the tissue of the Tetrastigma vine, which crawls along the rainforest floors. This is why the Rafflesia is usually floor bound. The flower extracts food from the vine by extending threadlike filaments into its tissue. Its penchant for attaching exclusively to the Tetrastigma partly explains why the flower is very rare. After taking approximately 9 months to mature into a cabbage-sized bud, the plant opens. The petals, usually 5, sometimes 6, are red in colour and covered with lighter coloured spots. When in full bloom the flower emits a foul odour which attracts flies and other insects. It only flowers for 5 to 6 days, before the petals blacken and the flower withers. The flowers are either male or female. Pollen is most likely transferred from one plant to another by flies, whilst scientists believe that the small mammals that eat the fruit of the plant transfer the seeds (via their droppings, claws and facial hair) to other host sites around the forest floor. Although the Rafflesia can grow up to one metre in diameter, the flowers are usually half that size with the occasional monster-sized bloom appearing from time to time. The record bloom of Rafflesia arnoldii that made its way into the Guiness Book of Records, stretched 91cms (3 ft) in diameter, 1.9 cms (3/4 ins) thick and weighed 7 kgs (15 lbs). Read more about the flowers of Malaysia. Irises, named for the ancient Greek goddess of the rainbow, grace many landscapes in the Rockies, and why not? The many types and colors are enough to keep anyone entertained throughout the growing season, and those with roots and shoots that grow underground are easily grown. Many of us go hog-wild tucking irises into every available corner of the yard. These flowers give a strong vertical accent to any landscape and can be massed or used as individual specimens. You can double, or even triple, your gardening pleasure by gently digging up the underground shoots, known as rhizomes. This produces plants that are genetically identical to the parent and helps alleviate overcrowding. Divide irises every two to four years, immediately after flowering. Carefully dig up the plants and cut off the old portions of the rhizome. The healthy part will be succulent and firm, while the dead and dying portions will be brown and shriveled. comScore Networks released a review of Internet activity in the weeks leading up to Mother's Day 2006. comScore reported strong growth in traffic and sales for online retailers of flowers, gifts and greetings compared to the previous year. A Happy Mother's Day for America's Independent Florists? NEW YORK, May 12 /PRNewswire/ -- Sunday is Mother's Day, the time of year when children young and old say thanks for the compassion, nurturing and relentless hard work that goes with being a mom. And in millions of households across America, the preferred gift for mom again this year will be a bouquet of flowers. Will a surge of flower power be a boost to the nation's independent florists? Yes, but probably not enough to counteract a predicted small sales dip for 2006, or to reverse the momentum away from the mom-and-pop stores that still dominate the business. Just as in so much of modern retailing, the little guy is being squeezed by big retailers. To be sure, Mother's Day is an important annual milestone for the $7.7 billion (2005 sales) U.S. retail floral industry. About one-fifth of the year's holiday retail flower sales occur over the days leading up to Mother's Day. The industry remains, for now, a decidedly decentralized business. According to a recent IBISWorld Report (www.ibisworld.com/industry/definition.asp?industry_id=1096), there are some 47,000 independent florists in the U.S., employing about 136,000 workers. The industry today has a low level of concentration, with the top four enterprises accounting for less than 2% of overall retail sales. But as is so often true, there are emerging trends behind today's numbers that could mean a very different business environment on the horizon. "Larger economic factors have taken a toll on the nation's floral business," says IBISWorld's Richard Buczynski, Ph.D. "Over the past few decades, the U.S. fresh-cut flower growing business has been negatively affected by more liberal trade policies, particularly those with South American countries. The market share of domestic flower growers dropped from 96% in 1971 to an estimated 12% at present today." At the same time, Buczynski says, anecdotal evidence suggests that traditional florists have been losing market share to supermarkets and box- store mass merchandisers, as well as to online flower-ordering services such as 1-800-FLOWERS.com, Proflowers.com, FTD.com and others. "We see growing sales by large retailers and the online services," Buczynski notes. "In a relatively flat market, that can only come out of the pockets of the Main Street retailer." And the trend will continue. "It is the big retailers which are most able to benefit from the cross- border supply chain," says Buczynski. "In our increasingly price-driven retail culture, it is not surprising that the independents are losing share - they simply can't get their costs down enough." What's more, the remainder of this year does not look particularly robust for independent florists either. prospects of high fuel costs and rising interest rates potentially impacting much of the retail sector, including flowers. There is a palpable downside." IBISWorld expects floral sales will drop by 2 to 3% in 2006. Against that backdrop, it is not surprising to see independent florists moving fast to expand their product range to include non-floral items and other related merchandise, such as chocolates, teddy bears, balloons, gift cards and, in some states, champagne. "If there is one thing that we have seen again and again across any number of the industries we track," said Buczynski, "it is that business people are resilient. They can deal with change, and that holds true for the nation's independent florists. Mother's Day may always mean flowers for mom, but there's change ahead for the nation's independent florists." Motherâs Day was a special time for web-savvy moms and their families according to new data released today from Nielsen//NetRatings. The data demonstrates that the Web has become an important tool for remembering Mom with greeting cards sites growing collectively 83 percent week over week, increasing from a unique audience of 5.9 million to 10.7 million, in the week ending May 14. Yahoo! Greetings, 123Greetings.com and AmericanGreetings.com Network increased 216, 186 and 122 percent, respectively. Advertisers have taken notice of this growth with an estimated online ad spending on gifts and flowers image-based impressions totaling $4.6 million in the week ending with Motherâs Day. The ads surrounding this holiday target both consumers visiting greeting card sites to send e-cards and the recipient, Mom, who will see the ads surrounding the actual e-cards. The study also found that consumers used the Internet to purchase flowers and other gifts for their mothers helping related Web sites grew collectively 38 percent week over week, increasing from a unique audience of 5.2 million to 7.1 million, in the week ending May 14. FTD.com, 1800flowers.com and proflowers.com were the top three fastest growing gifts and flowers sites, increasing 205, 127 and 96 percent, respectively. Finally, the fastest growing site during that time was Yahoo! Greetings, which increased 216 percent from a unique audience of 565,000 to 1.8 million. The second fastest growing site was FTD.com, which increased 205 percent from 899,000 to 2.7 million unique visitors. The floral outfit's once-wilted shares have come back to life, thanks in large part to strong growth in its gift business and improved margins. Many Malawians do not regard floriculture as a worthwhile economic sector. Yet worldwide, floriculture is a thriving industry accounting for an estimated annual trade turnover of about US$35 billion. In Malawi, Crystal Floristâa brainchild of veteran florist Crystal Hawkenâis a role model of how to thrive in the flower business. FRANK PHIRI caught up with HAWKEN to trace her progress and the potential of the floriculture sector in Malawi. LONDON â Interflora has posted a record-breaking financial year for online sales, with 1m orders being made through the flower experts' revamped website. The orders were made in the first 10 months of this financial year, leaving two more months for further orders to contribute to this figure. The breaking of the online order record follows the unveiling of Interflora's fully revamped website and a rebranding by direct marketing agency WWAV Rapp Collins Leeds to persuade customers that only Interflora is the real flower expert. The website launched last year to give Interflora's online customers a more seamless shopping experience. The new interface is clearer, helping to guide users around the site -- whether they want to search by product, occasion or price. The site was created by Novator. 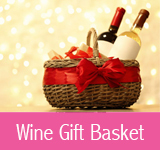 In addition, Interflora has in the last year launched more product choices online and expanded its range to alcoholic gifts, hampers and plants. Adrian Pritchard, Interflora's head of e-commerce, said: "We invest considerably in our website and this year's Interflora customers would have seen a great deal of enhancement and development to their online experience. "We're looking forward to further successes in the next financial year and celebrating with our next million customers." JUN. 5 8:08 A.M. ET Flower delivery company FTD Group Inc. on Monday named Becky A. Sheehan chief financial officer, effective July 5. Sheehan replaces Carrie Wolfe, who has been named a director of the company and will continue as its principal accounting officer until the end of the fiscal year 2006 audit and filing of the company's 10-K.
Sheehan was previously lead client service partner and leader of the consumer business and manufacturing audit practice for Deloitte & Touche LLP in Chicago. It is no wonder if one uses the word jasmine as a synonym for fragrance... Jasmine is a very popular flower around the world, especially in tropics because of its unique fragrance. Jasmine flower and the essential oil extracted from the flower are being used extensively in cosmetics and perfumery, and as a calmative (relaxing properties, sedative) and aphrodisiac (intensifies sexual desire). Goldenrod (Solidago canadensis var. scabra), a very popular flower filler in flower arrangements, is the Kentucky State Flower. The Page on Kentucky State Flower speaks in detail about the goldenrods... The species of Goldenrods - Tall Goldenrod (Solidago altissima) are typical autumn flowers of the United States that grow in woods, meadows, hills, and on rocky ground.Goldenrod blooms between August-October. Numerous small flower heads, composed of multi-flowered rays, crowd together to form clusters at the top of Goldenrod stems. Goldenrod has yellow flowers. Goldenrod blooms with about 9-15 flower rays that are 3 mm. The flowers occur along the upper part of each flowering Goldenrod stem. The Wild Rose became the official Iowa State Flower in 1897. Synonyms of the Wild Prairie Rose are Rosa pratincola; Rosa suffulta var. suffulta and Rosa suffulta var. relicta, Rosa alcea Greene, Rosa conjuncta Rydb, Rosa relicta Erlanson, and Rosa suffulta Greene. In Asia it is called "Bauhinia," or the Hong Kong orchid tree. In southern Africa it grows in such numbers they are referred to as "Colophospermum mopane" forests. In America, redbuds are found from coast to coast. All three of these exquisite small trees share their ancestry in the Leguminosae or pea family. It is most evident in the pea-like pods that carry their seed. How can three nearly identical trees exist independently on such vastly different continents? Do they share a common primordial ancestor? About 200 million years ago, Earth was just one enormous continent scientists named Pangea, which translates to "all earth." Perhaps these three trees share a single parent genus that shaded that land and, after Pangea separated into different continents, the fractured tree populations evolved independently of one another. Look at them closely and you'll see the most visible link is in the leaves often described as butterfly-shaped. All tend to prefer poor soils with limited fertility. This is in part because as pea family members were given a unique ability to harness atmospheric nitrogen when it is absent in the soil. Of these three different genera, the native redbuds, genus "Cercis," are our own legacy of Pangea. They can be found wild all across America represented by a few primary species. In the eastern states "Cercis Canadensis" is the native most widely cultivated and hardy to Zone 5. Texas redbuds are "Cercis Canadensis var. texensis." The Oklahoma redbuds, noted for greater drought resistance and redder flowers, are forms of "Cercis reniformis," but may be sold as "Canadensis" cultivars. The western redbud is "Cercis occidentalis," found west of the Rockies. All of these make exceptional landscape trees that are not only beautiful, but as natives they are our most sensible choices. The redbuds are as close to a four-season accent tree as you can get. They are so named for their very early spring flowers that bloom before most other plants in the wild. Their showing of color is so early that the Kiowa called them: "drive winter out." Redbuds bloom so prolifically on bare branches that they rival the flowering cherries in some years. Flower color is a bold magenta pink, but varieties 'Alba' and 'Texis White' bloom pale. Read more about red buds. No flowering plant has captured the attention of humans, or stirred their passions, in quite the way that Orchids have. In the past, Orchids have been hunted and collected in almost every part of the world. Today, millions of people remain devoted to the plant and its exotically beautiful "faces." The human fascination with these strangely compelling flowers is often refered to as Obsession with Orchids. The Flower expert's page on Indiana State Flower discusses in detail about the Indiana State Flower (Peony). The Peony (Paeonia lactiflora)is the Indiana State flower. The Peony was adopted as the state flower by the General Assembly in 1957. Peony is extremely popular for decorating grave sites for Memorial Day and is cultivated widely throughout the state. Peony flowers are extensively grown as ornamental plants for their very large, often scented cut flowers. Peony is a herbaceous perennial, with 30 species, but some are woody shrubs with 10 species. Peony is native to Asia, Southern Europe and Western North America. Peony is one of the oldest plants cultivated. Peony was in cultivation in China about 1,400 to 4,000 years ago. The Peony features five or more large outer petals called guard petals. At the center of the Peony are the stamens or modified stamens. The Peony plant produces large, fragrant flowers in shades of red to white or yellow, light pink to magenta in late spring and early summer. Read more about Indiana state Flower by clicking on the above link. A new page on Wedding Flowers was created on The Flower Expert which discusses in detail about the use of flowers in weddings, both for decoration and in different traditional contexts. The wedding flowers page goes on to say that Wedding Flowers set the mood and tone for the day. Apart from natural cut flowers, artificial flowers like porcelain bridal flowers, handmade flowers with swarovski crystals, and silk wedding flowers are also very poular and last a lifetime. The choice of Wedding Flowers can be simple and elegant or elaborate and specifically designed to personal tastes. The Floral decorations and pieces can be sparse or plentiful and flamboyant, depending on personal taste. Read more on wedding flowers by clicking on the above link. The small shrubs of Snow Rose (Serissa) are much loved as bonsai for their tiny flowers which may occur 2-3 times yearly, gnarled trunks, and naturally miniature leaves. Most bonsai are S. foetida, of which many cultivars are available. Probably the two most common bonsai purchased by the casual bonsai buyer in America are Juniperus and Serissa. Judging from the number of junked junipers and shriveled Serissas, beginners would be far happier with elm and Ficus. Serissa is a notoriously fussy bonsai. The good news is that they aren't that hard to keep alive. But considering that most people buy Serissa on impulse because the plant is so spectacular at the store, the bad news is bad indeed. The plant will generally drop its flowers within a day or two. Then the plant will drop its leaves. If the grower doesn't panic (and many Serissas are inadvertantly killed by panicing beginners who respond by drastically over/underwatering the plant) the plant will soon regrow its leaves. A power struggle then ensues. The grower soon discovers that the Serissa drops its leaves if it has too much water. Too little water. If it's too hot or too cold. If it's moved, or there is a shift in lighting or temperature. If you cough near it or use a vulgarity in its presence. If it doesn't like your looks. The delicacy and exotic nature of woodland wildflowers can make them seem more formidable to grow than they are. As with any plant, simulating the wildflowers' native habitat is the key to success. Shade or filtered sunlight provided by deciduous trees or spare stands of evergreens is necessary to prevent scorching of the plants, points out William J. Hamilton, Jr., who has been a gardener for 70 of his 82 years and a consultant to the Cornell Plantations for 30 years. Hamilton, an emeritus professor of zoology at Cornell University, has more than 100 native Northeastern wildflower varieties in his 3-1/2-acre Ithaca garden. He suggests that ferns, especially Christmas, maidenhair, and wood ferns, be planted among the wildflowers to maintain soil coolness and to provide shade for the smaller plants. The best companion trees for a wildflower garden are hemlocks, spruces, pines, firs, beeches, oaks, and birches. Their needles and leaves decompose into acid humus, an essential ingredient for many wildflowers. A cheap and rewarding way to increase the number of shade trees is to start them from seed. Acorns, for example, can be collected along roadsides or sidewalks right after they have fallen to the ground and then planted a few inches apart and an inch deep. In a few years' time, the seedlings will valiantly furnish traces of shade and a little protection from the wind. In preparing the soil bed, a 50-50 mixture of soil and damp peat moss should be dug into the ground at a depth of 12 to 18 inches. The final mixture, says Hamilton, should be friable, "falling apart in the hands like a fresh chocolate cake -- spongy yet crumbly." "Sprinkle a 1/8-inch layer of superphosphate, ammonium sulphate, or powdered sulfur over the soil and rake in; these chemicals increase the soil acidity. Adding finely shredded rotted wood chips, rotted leaves or sawdust, or decomposed grass clippings each year will enrich the soil, he notes. To gauge a soil's pH (acidity or alkalinity) before starting a garden and to monitor the pH thereafter, have the soil tested. Wildflower seeds and plants can be obtained from mail-order companies, some local nurseries, and occasionally, botanical societies. Although botanical societies usually restrict seed sales and exchanges to members, a few will sell to nonmembers. For names of sources, refer to publications on wildflowers (see as examples suggested books at end of article) or contact local garden clubs or your county Cornell Cooperative Extension office. Fall is the ideal time for transplanting. The cooler weather minimizes the risk of dehydration and yet permits the plants to establish a strong root system before frost ends the growing season. Fall is also a good time to plant seeds, and some wildflower varieties; for example, certain ladyslipper orchids do best when seeded then. Wildflowers on publicly or privately owned land (other than one's own) should never be picked nor their plants collected, Hamilton emphasizes. Many are protected by law, and increasing numbers are becoming endangered as their habitats are lost to commercial and residential development. In New York State, several dozen varieties are protected, including all native ferns and orchids, and picking or transplanting them is a punishable violation. Some varieties are extremely slow to flower from seed -- the trout lily (Erythronium americanum), for example, doesn't bloom until its seventh year -- and can discourage all but the most committed gardener. For those who don't mind the modest to not-so-modest wait, seeds are an economical route to variety and quantity for a showy display. Erythroniums are a rare species of flowering plants. Early spring flowering, lily-like plants are produced from fleshy corms. Species described have narrow to broad, lance shaped green leaves often mottled. Well, June is here, which means many of us will be spending more and more time outdoors viewing our flower gardens. But that, in turn, means more and more chances of encountering poison ivy -- and coming down with the rash it causes. In this article I provide tips for getting rid of poison ivy. Since successful identification of the weed precedes getting rid of poison ivy, you can follow the links here to identification resources, too. What kind of climate do Carnations grew in. Watering,sun or no sun? Carnations should be grown in a fertile, slightly alkaline, neutral, and well-drained soil. Carnations require 4-5 hours of full sun each day. When palnting, care should bre taken to plant them 12-18 inches apart. Seeds of Carnations can be sowed, 1/8 inch deep in a well drained mix of soil during spring or early summer. The compost should be moist but not wet. Occasionally, Mist spray and keep it moist. The seeds germinate in 2 to 3 weeks. Transplant these into pots or on the ground when large enough to handle. Carnations should be kept some hours of full sun each day and should be kept moist. Over-watering should be avoided, as it may tend to turn the foliage yellow. Learn more about carnations. Last modified on Jun 30, 2006 | TFE v1.2 | © 2005-2017 Gifting Inc.